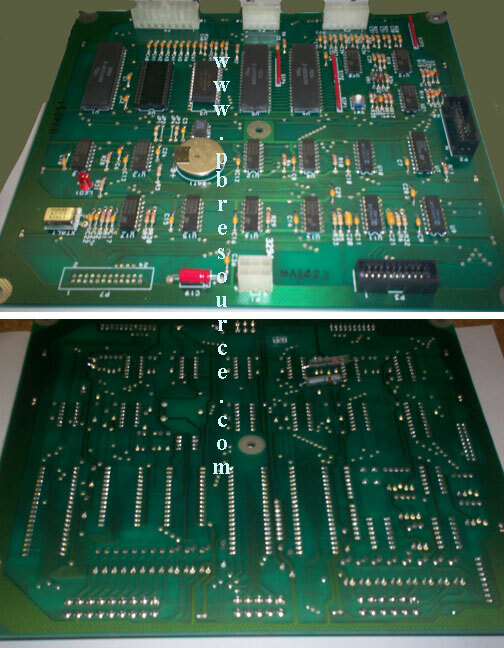 The Pinball Resource recommends having your existing circuit boards repaired whenever possible! 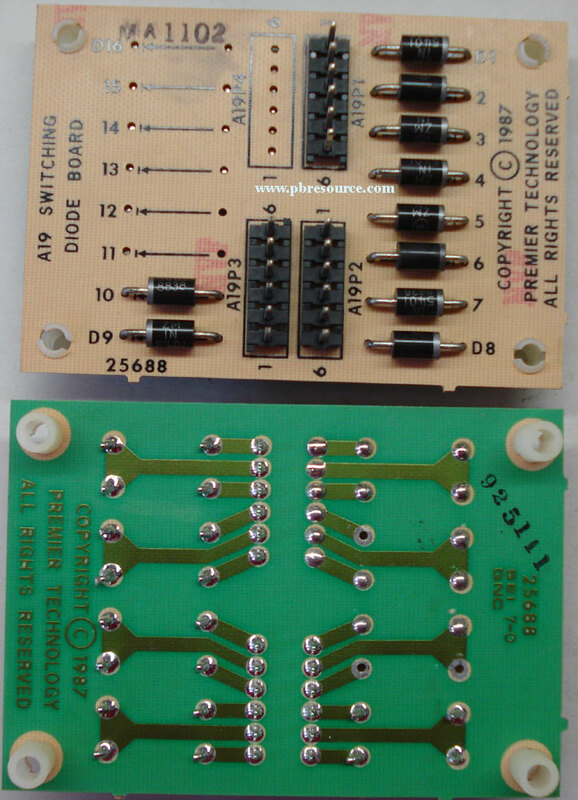 A board repair typically cost about 1/3 of the price of a replacement board! 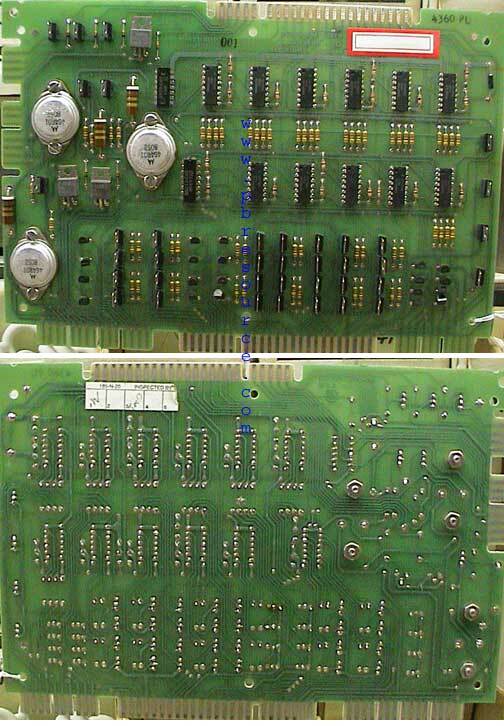 Not sure who does boards repair, call us with your game name and we will recommend someone. 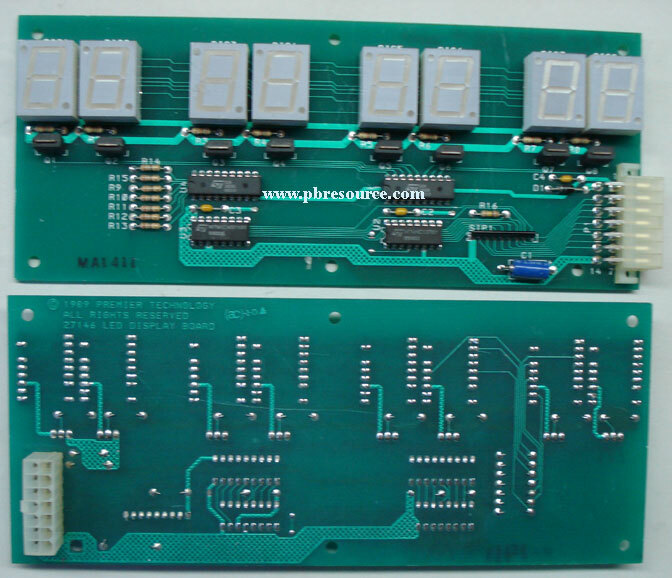 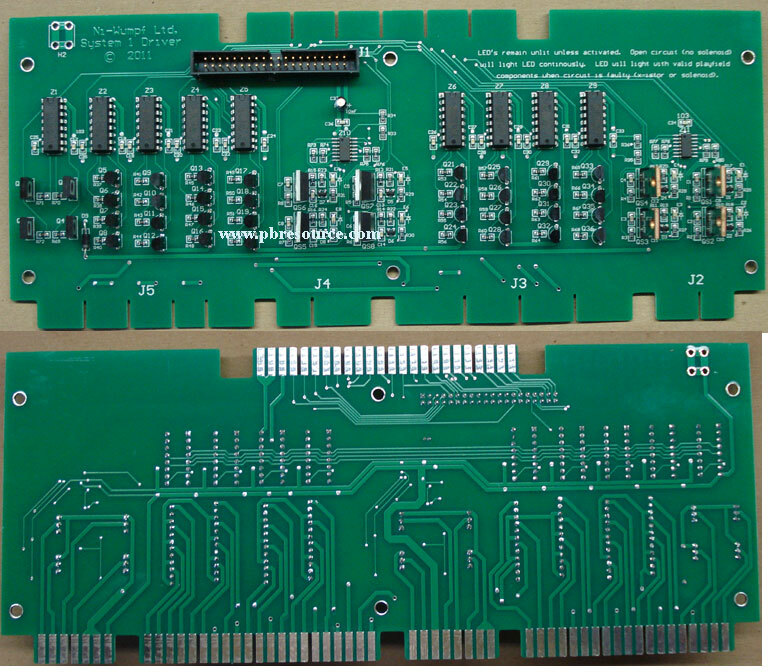 The Ultimate MPU Board is a replacement board for Bally/Stern and other Pinball machines. 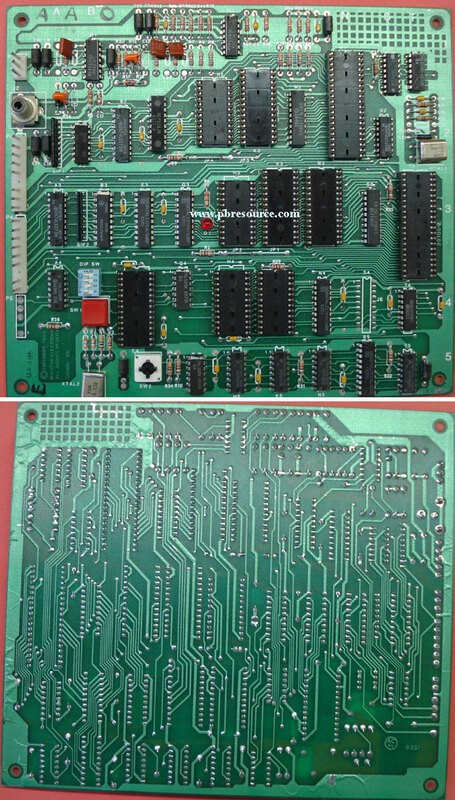 This single board supports over 90 Bally, Stern, and other games. 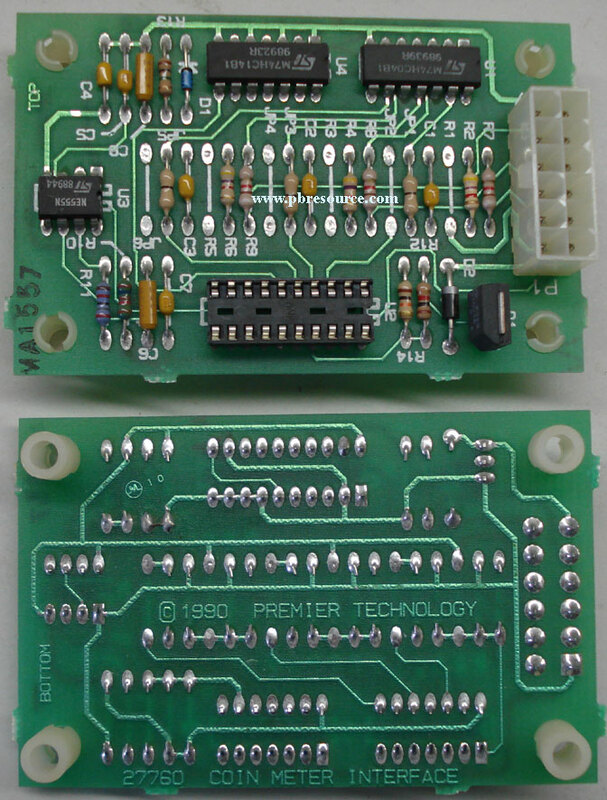 The board is from Alltek System. 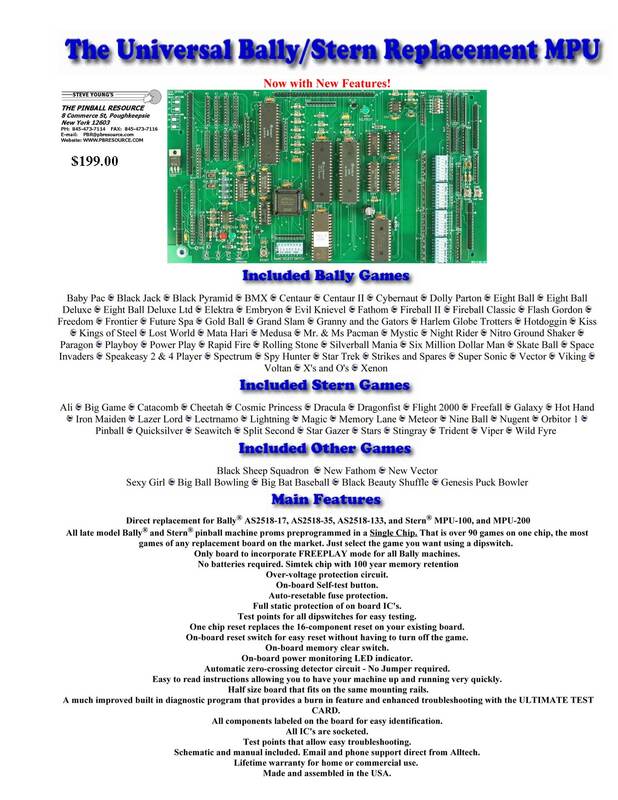 Click on the picture of the thumbnail to see our ad and a list of the supported games! 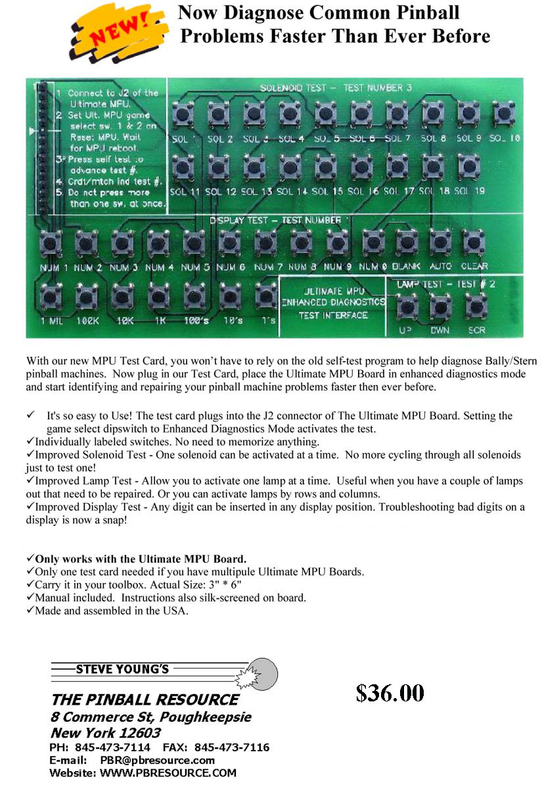 The Ultimate MPU Test Card is a breakthrough for diagnosing common pinball problems faster than before. 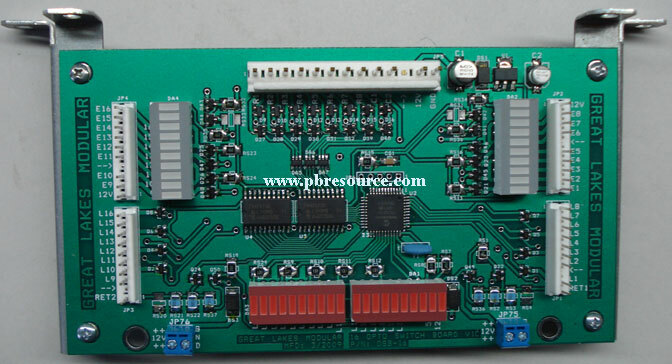 It plugs into the Ultimate MPU Board above, on all supported games. 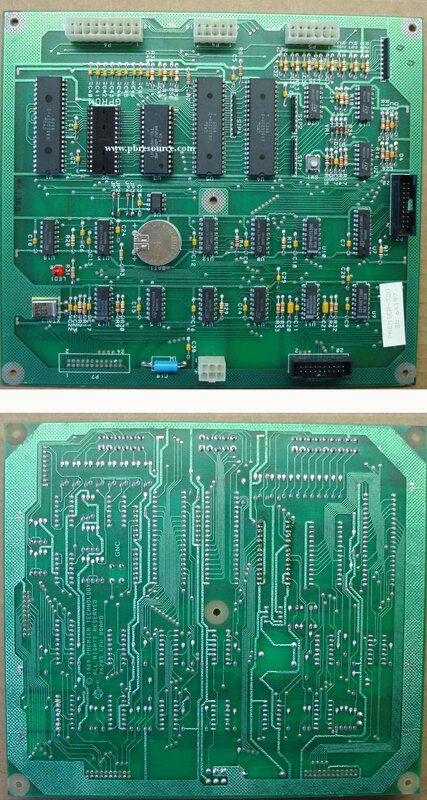 The board is from Alltek System. 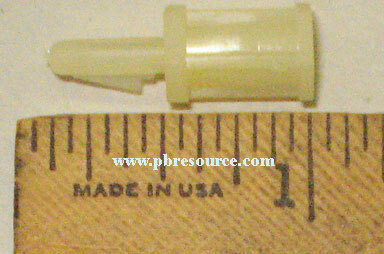 Click on the picture of the thumbnail to see to our ad. 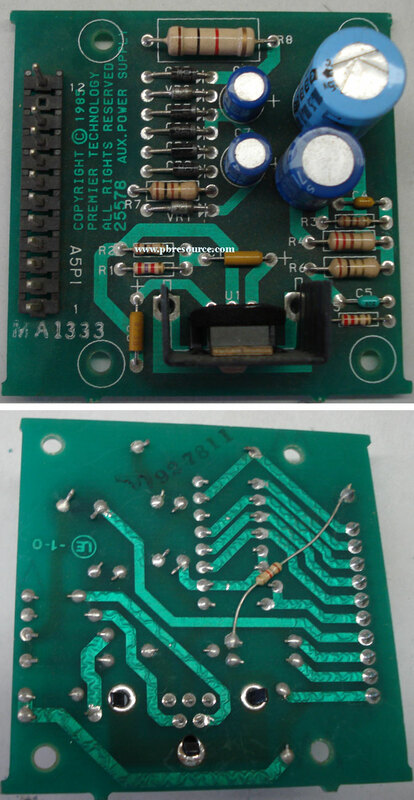 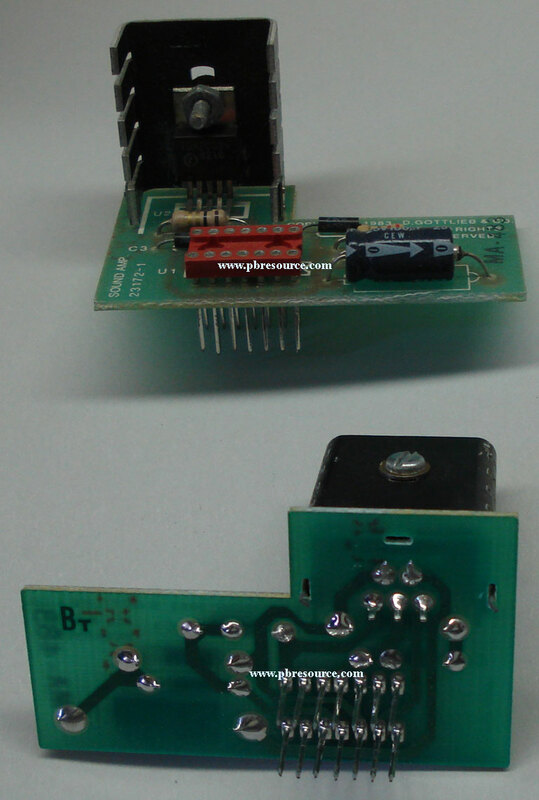 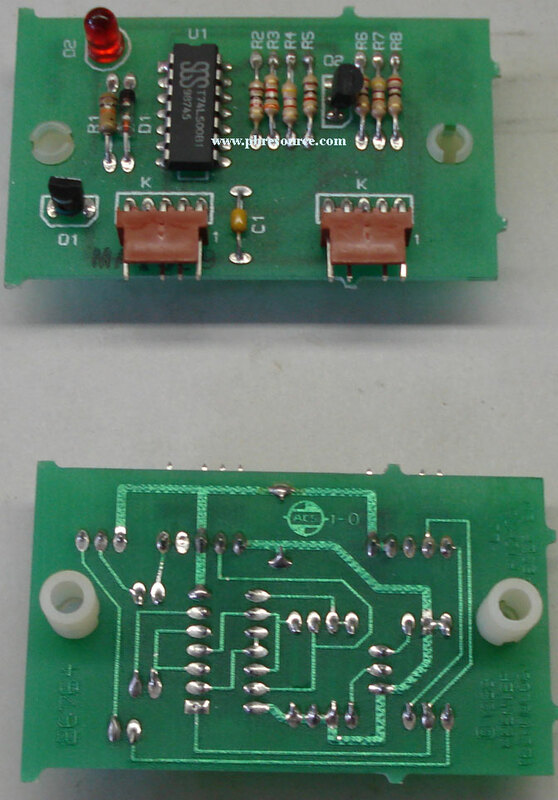 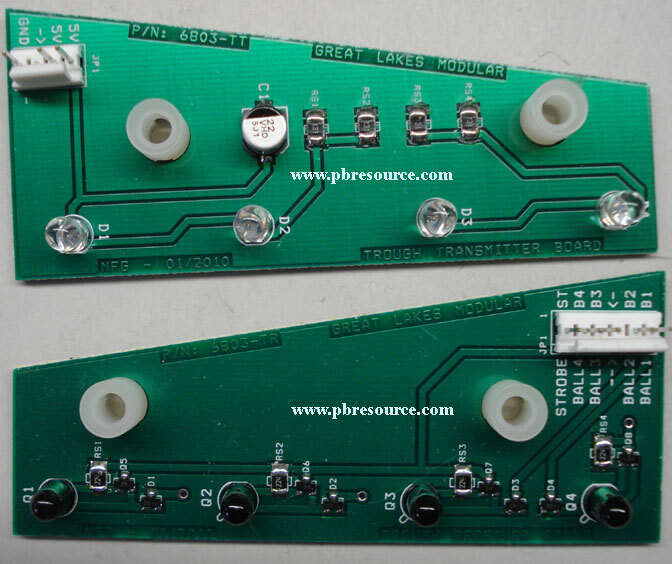 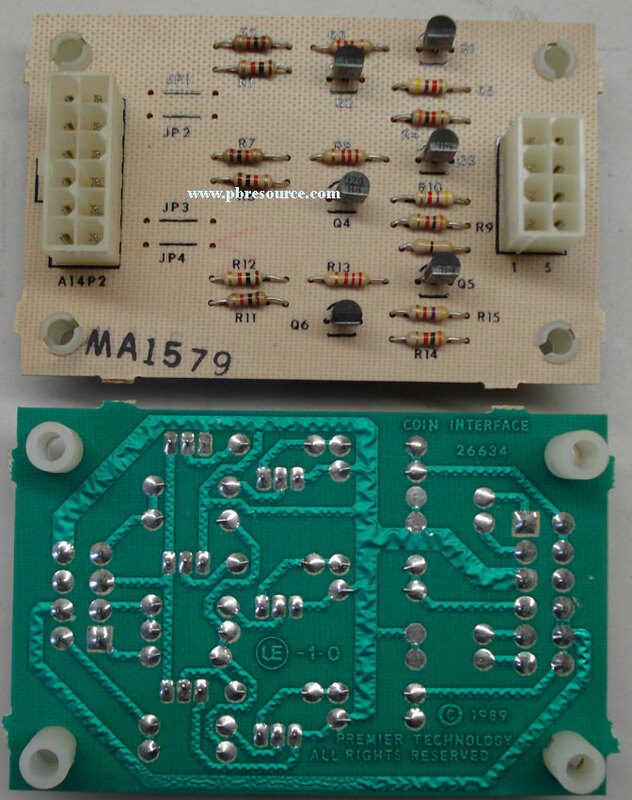 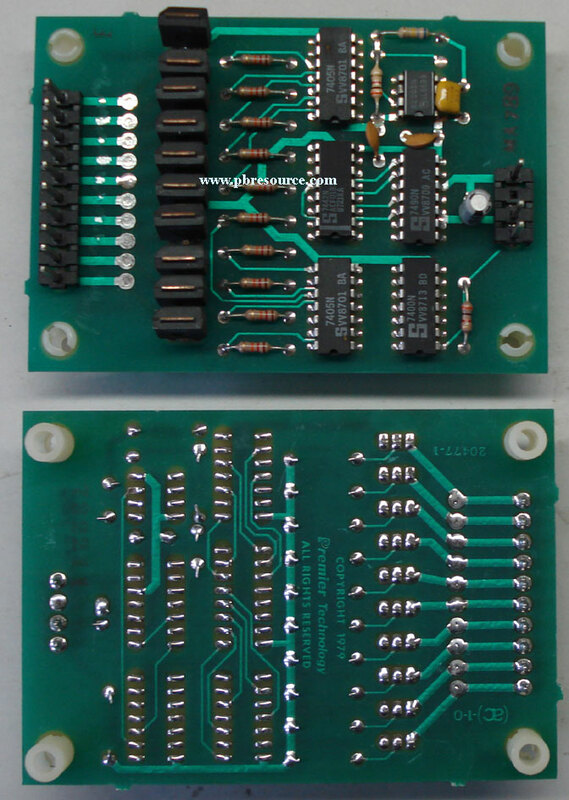 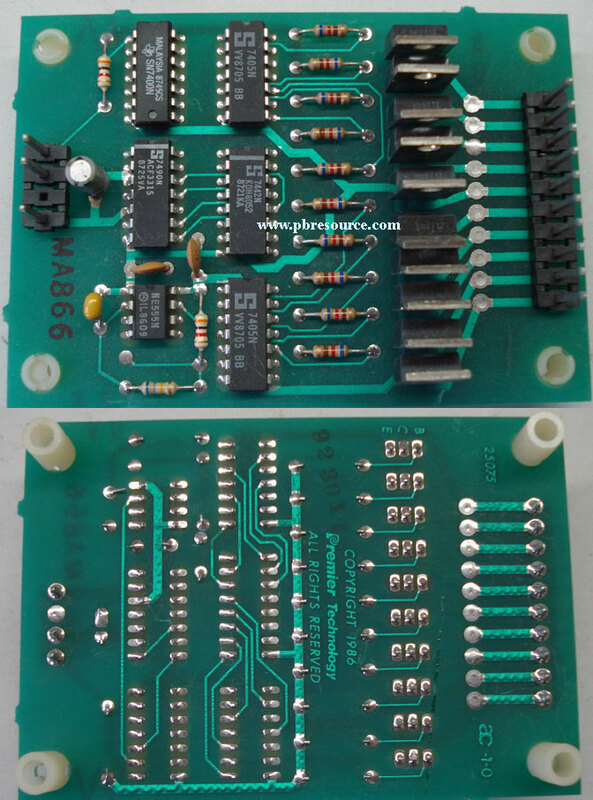 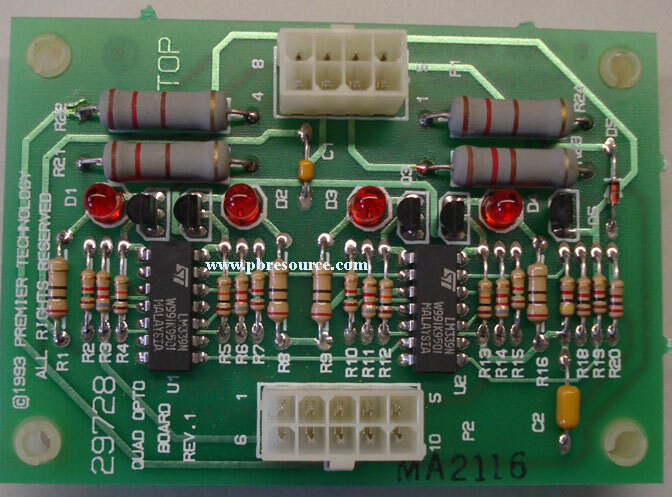 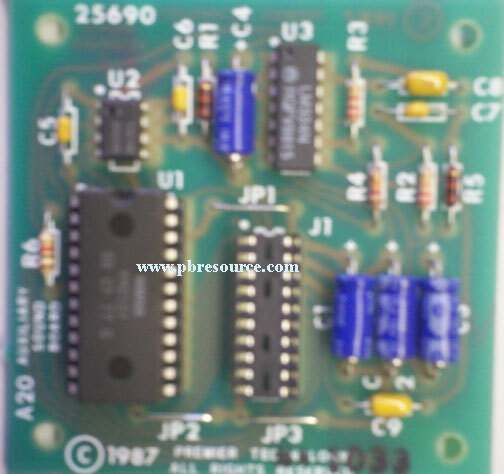 The Ultimate MPU Solenoid Driver Board is a replacement board for Bally/Stern and other Pinball machines. 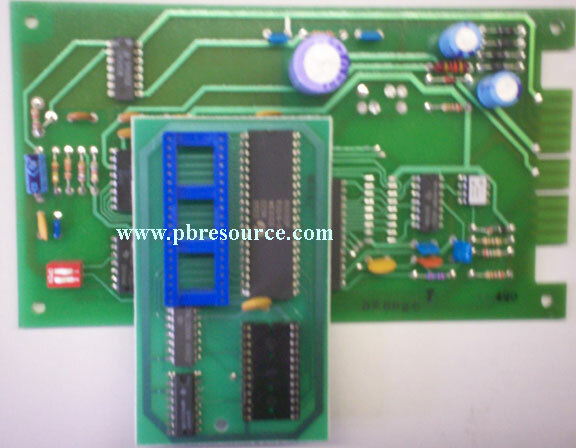 This single board supports over 90 Bally, Stern and other games. 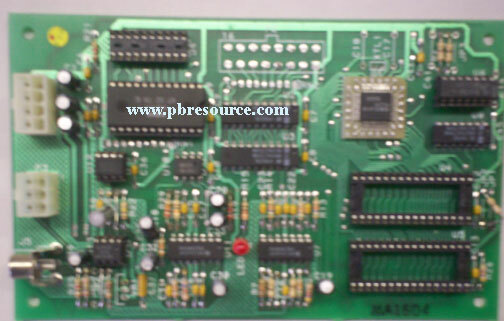 The board is from Alltek System. 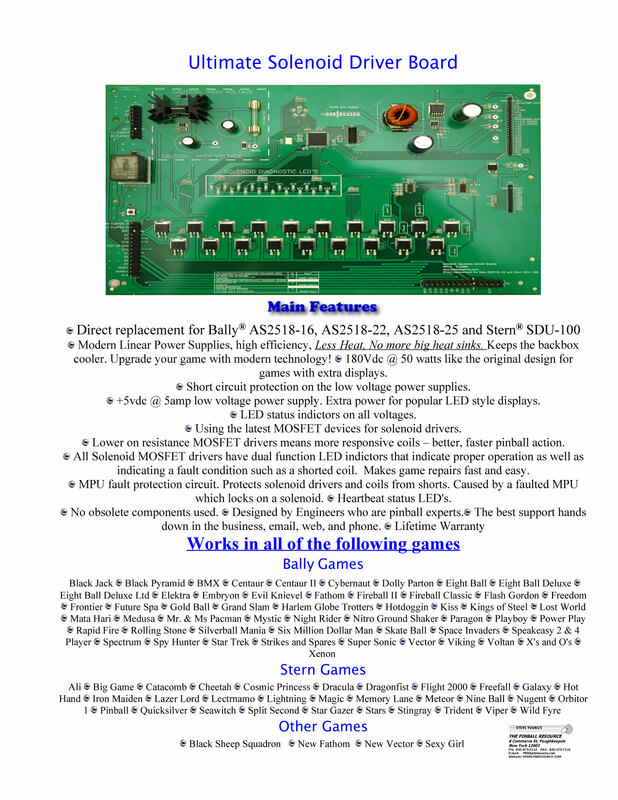 Click on the picture of the thumbnail to see to our ad and list of supported games! 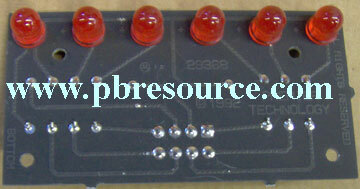 The Ultimate Auxiliary LED/Lamp Driver Board is a direct replacement for Bally part AS-2518-52. 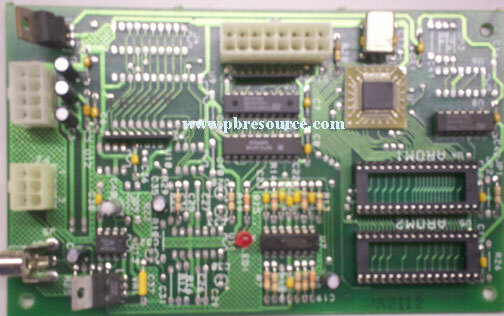 The board is from Alltek System. 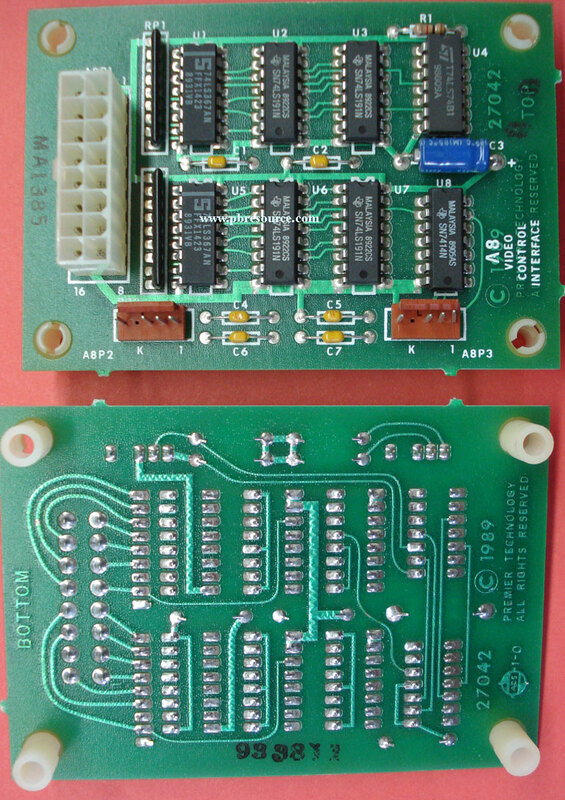 Click on the thumbnail to see to our ad and list of supported games! 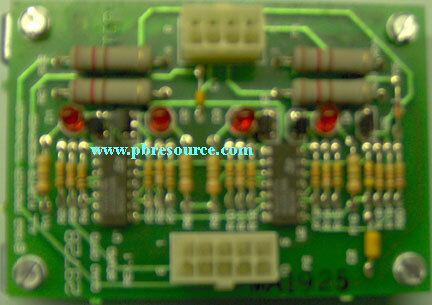 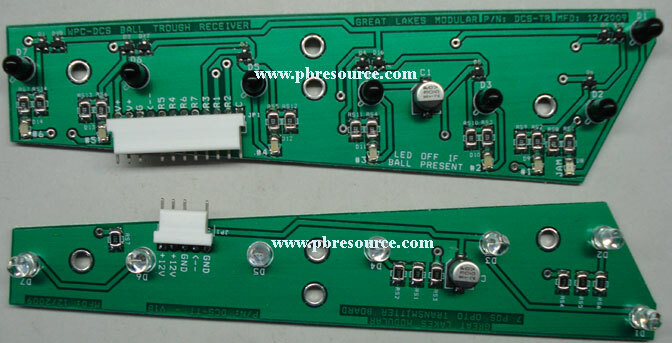 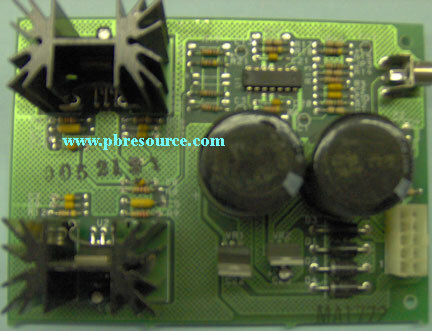 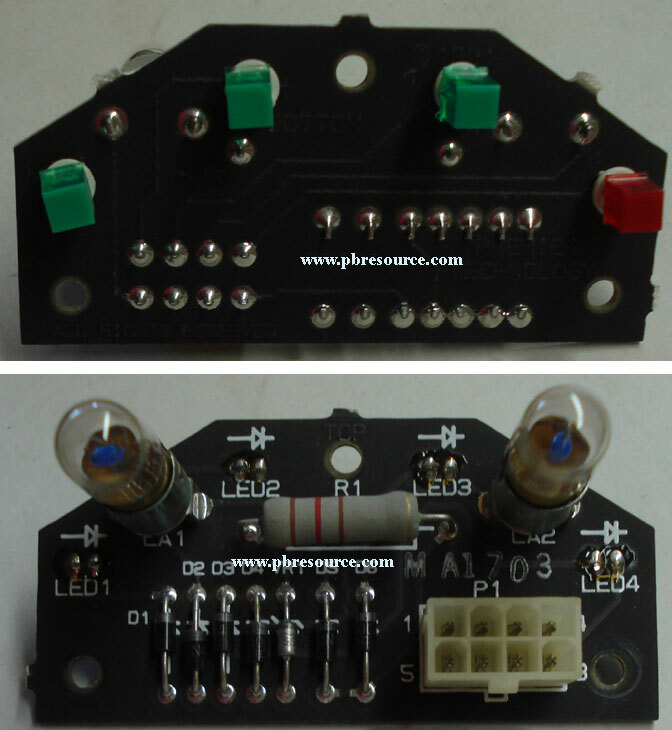 The Ultimate Auxiliary LED/Lamp Driver Board is a direct replacement for Bally part AS-2518-43. 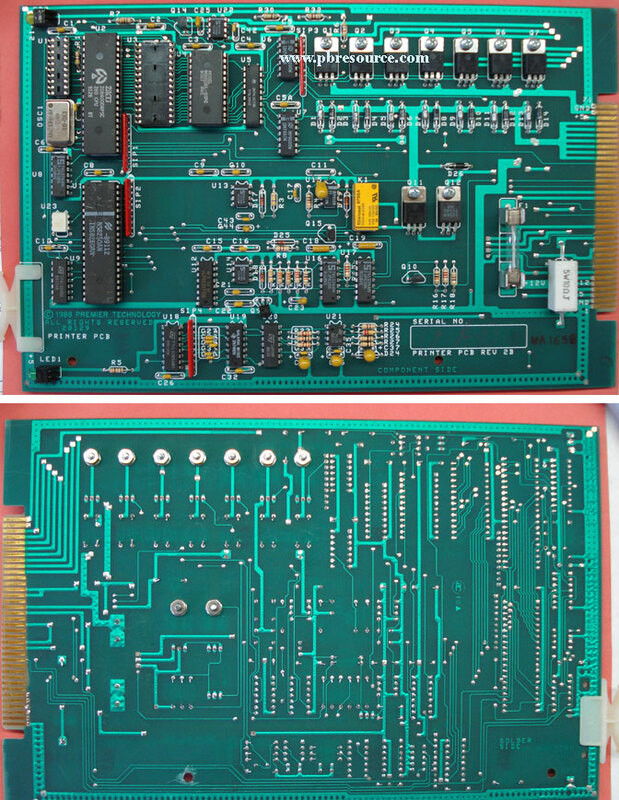 The board is from Alltek System. 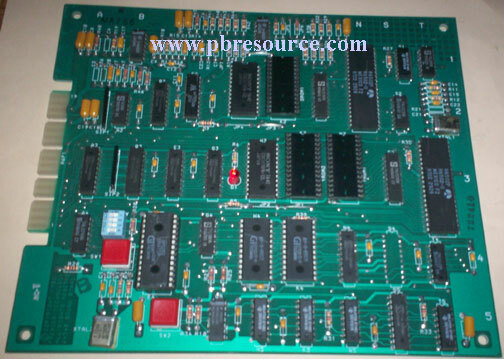 Games supported are Black Pyramid, Centaur, Centaur II, Future Spa, Kings of Steel, KISS, Spy Hunter, X's and O's. 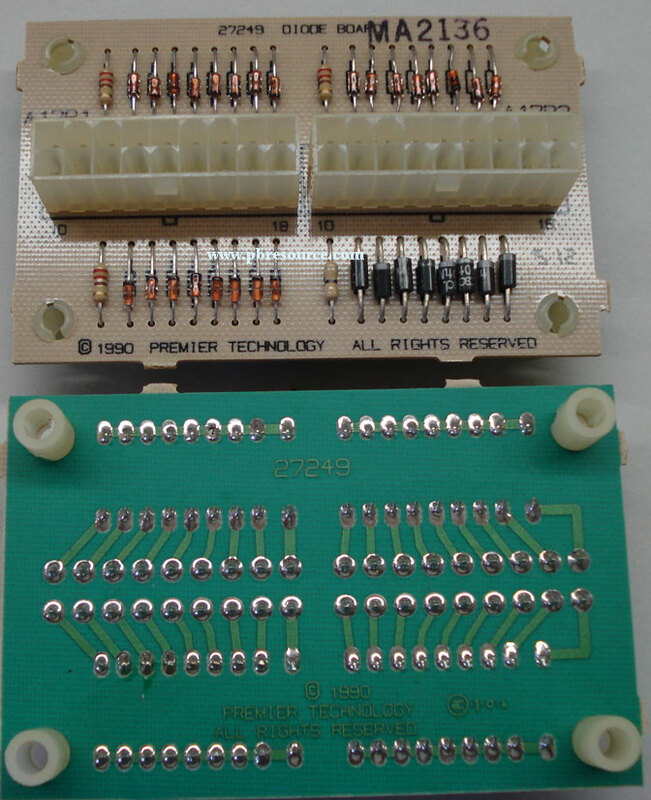 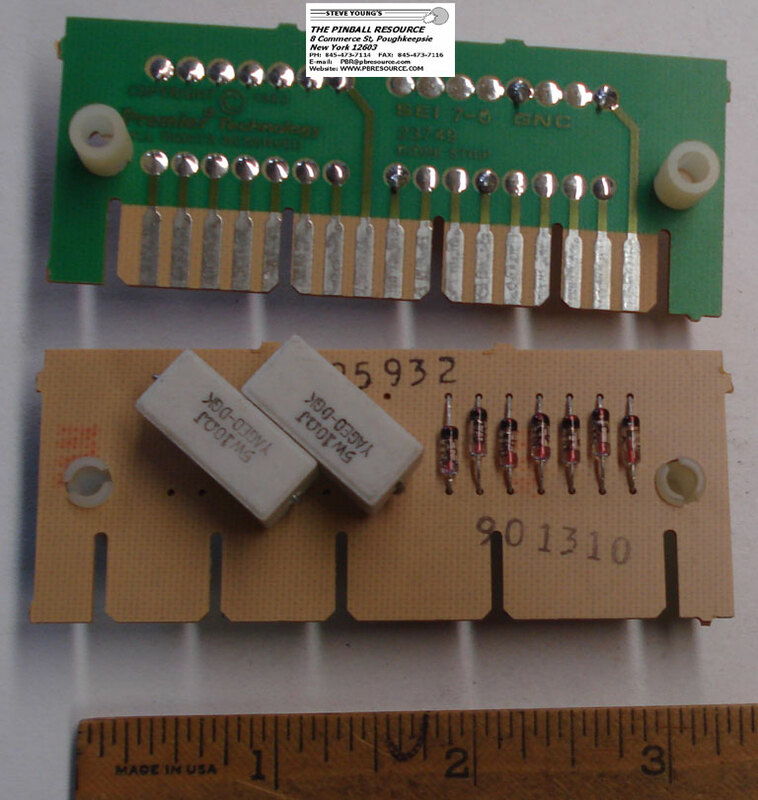 The PinHead Rectifier Board is a direct replacement for the Bally AS-2518-18, AS2518-49, and Stern TA100 Rectifier Board. 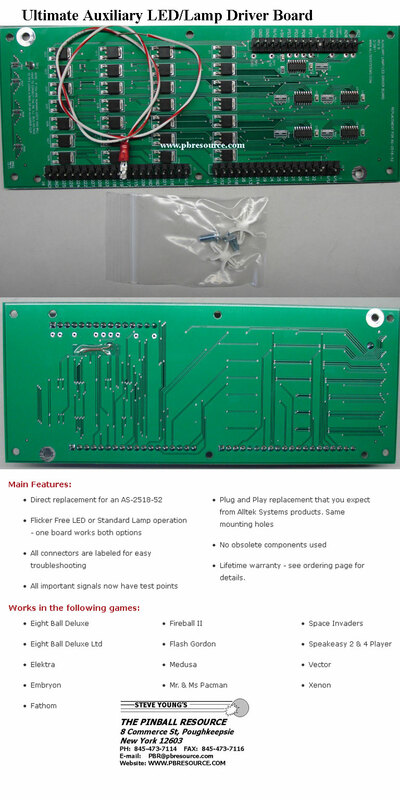 The board includes a complete install kit. 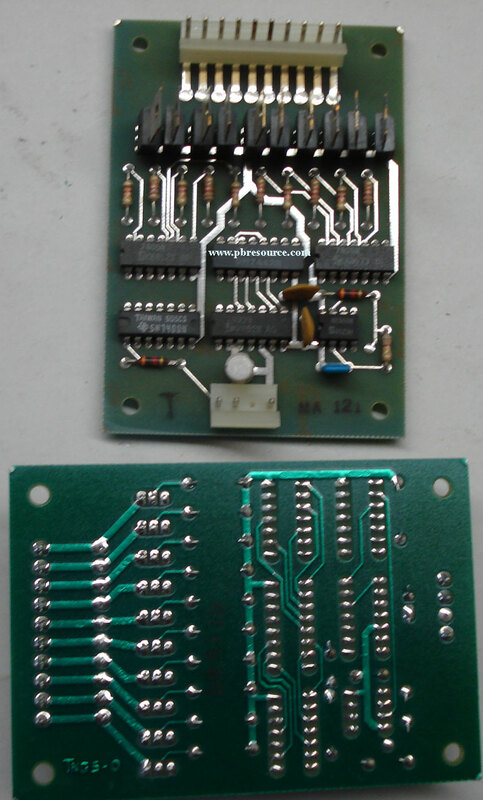 The board is from PinHead Electronics. 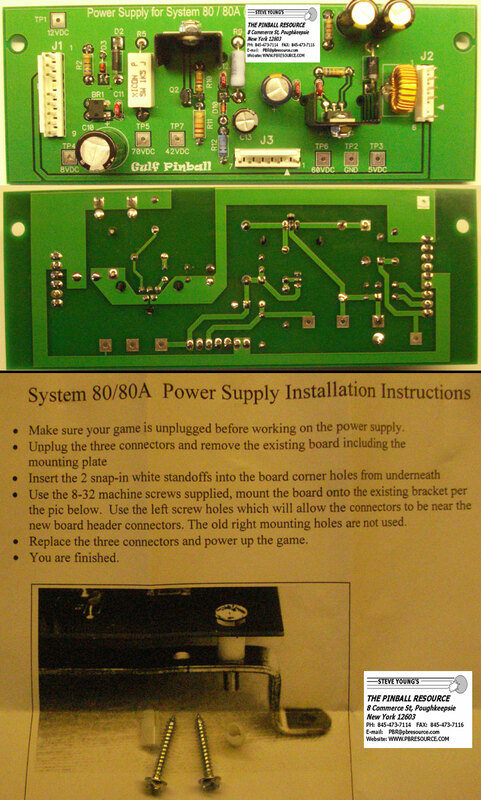 Click HERE to see the installation instructions and a list of supported game! 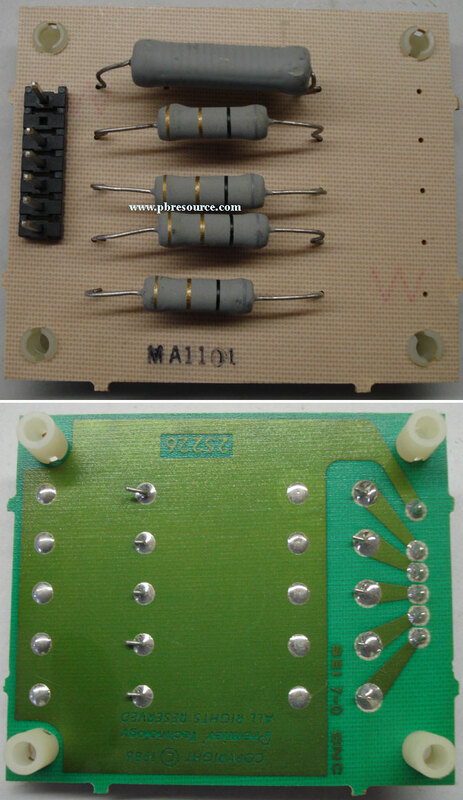 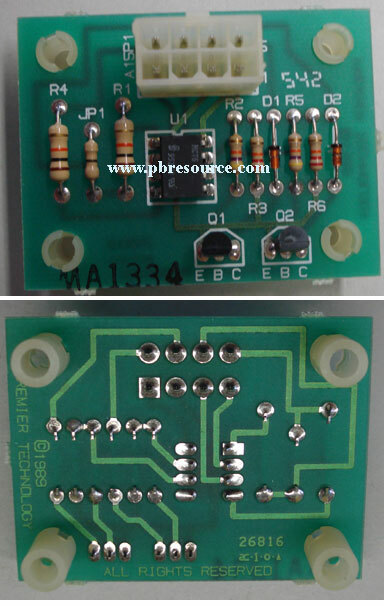 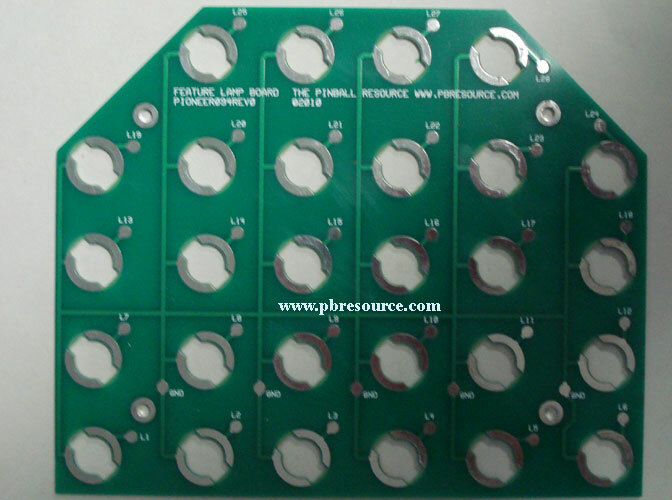 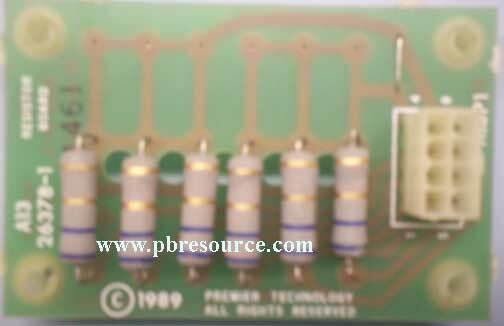 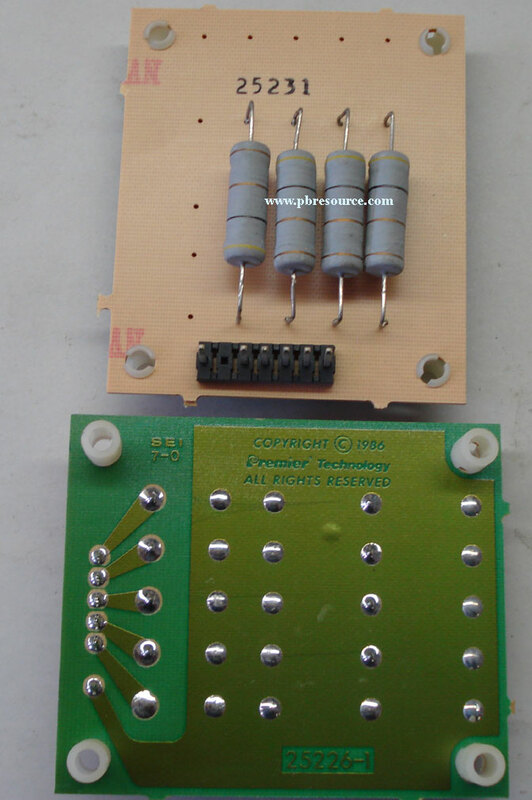 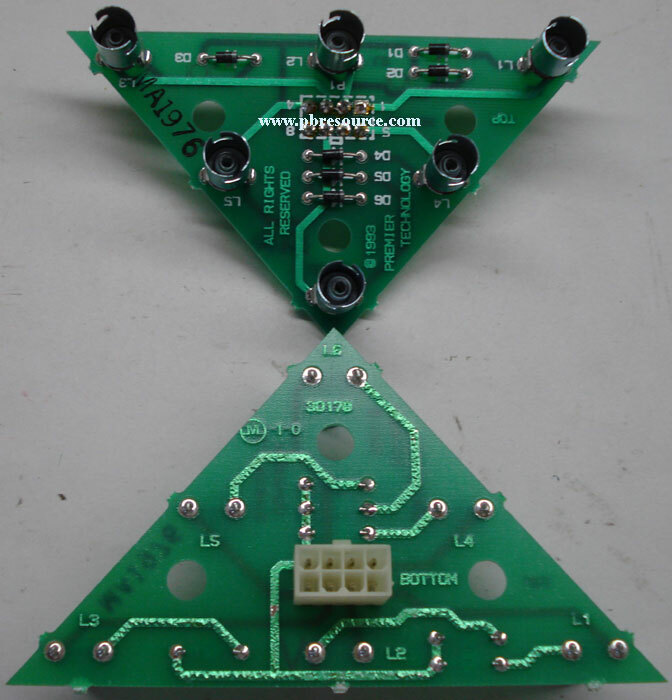 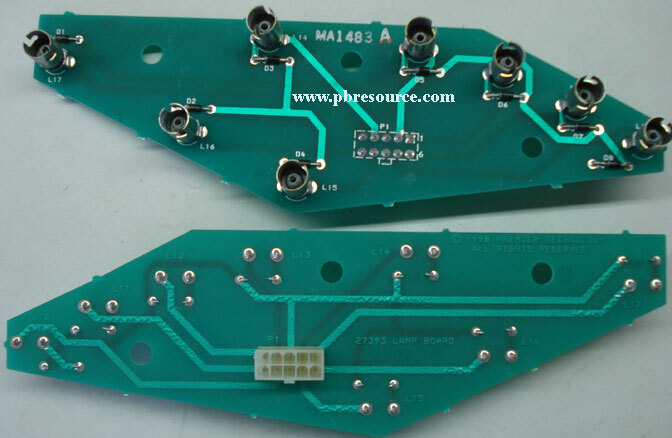 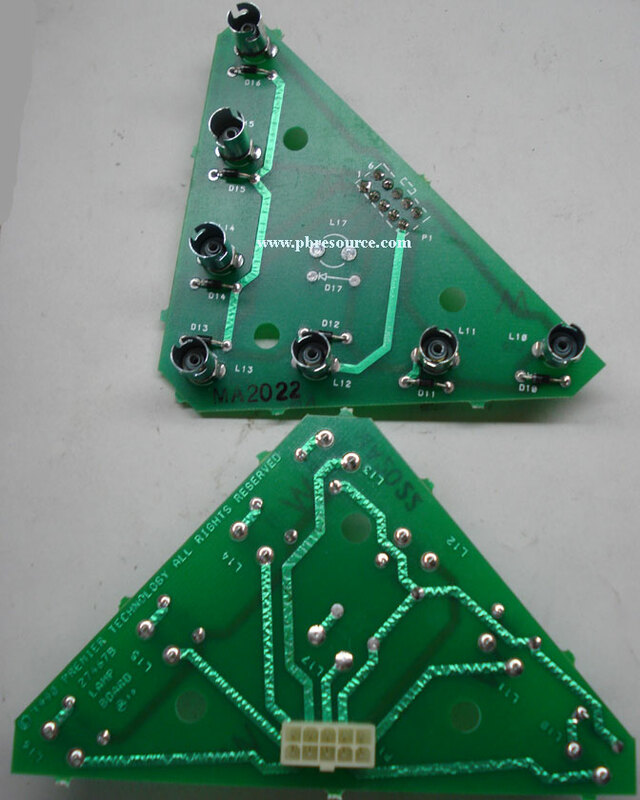 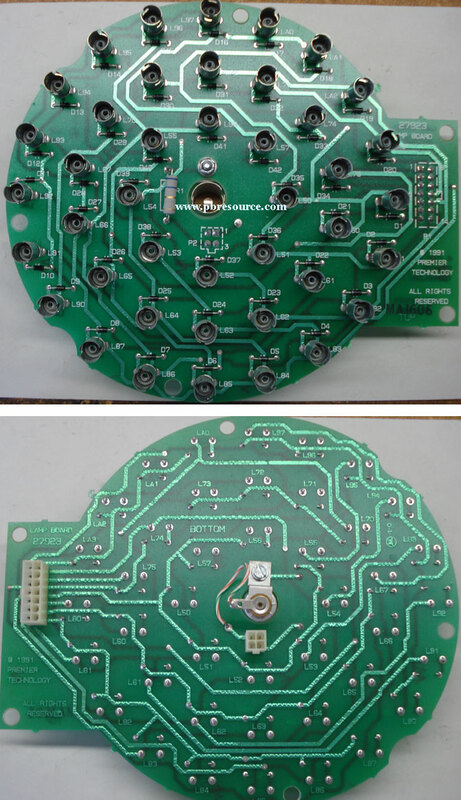 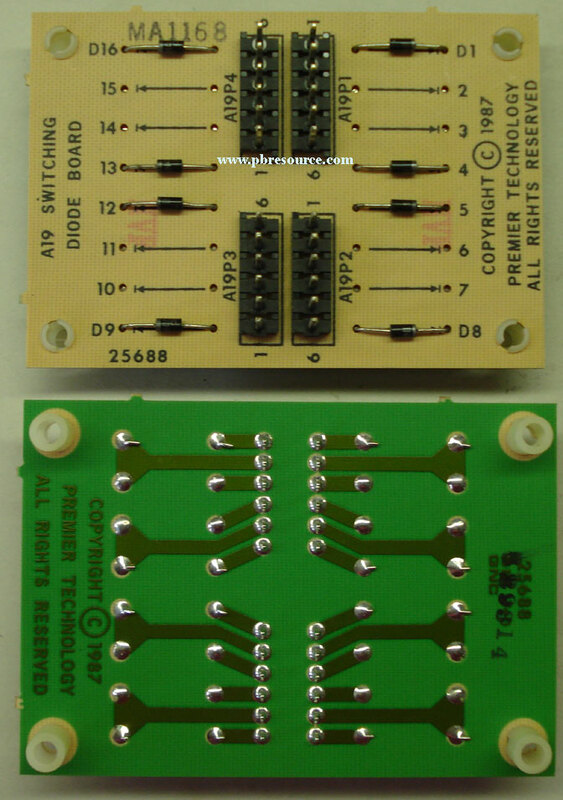 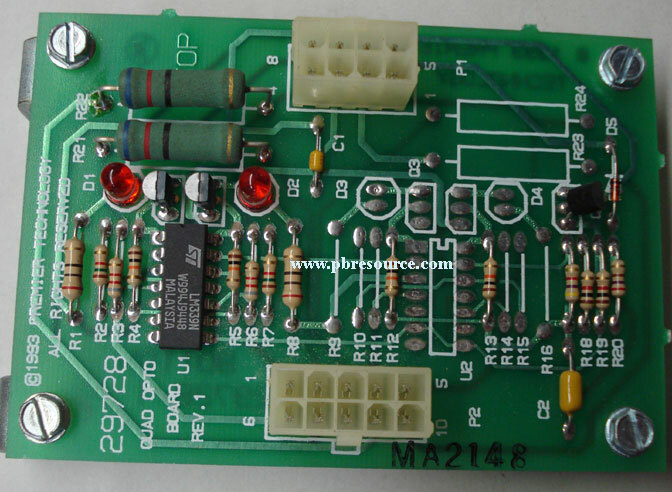 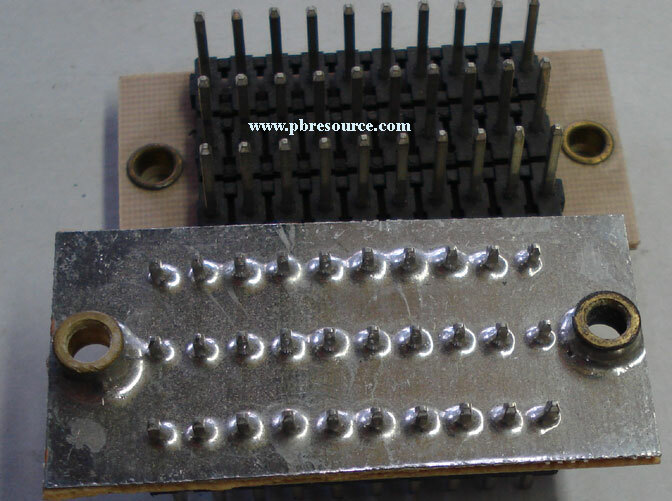 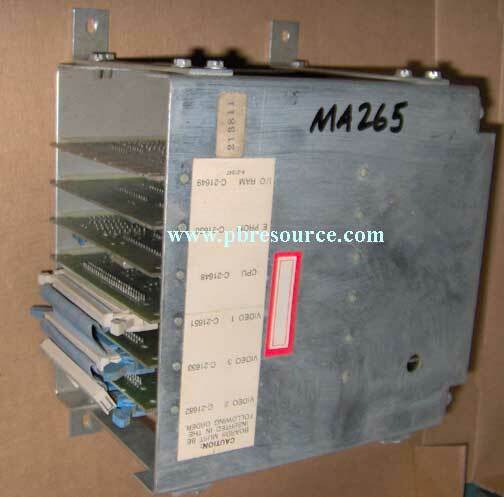 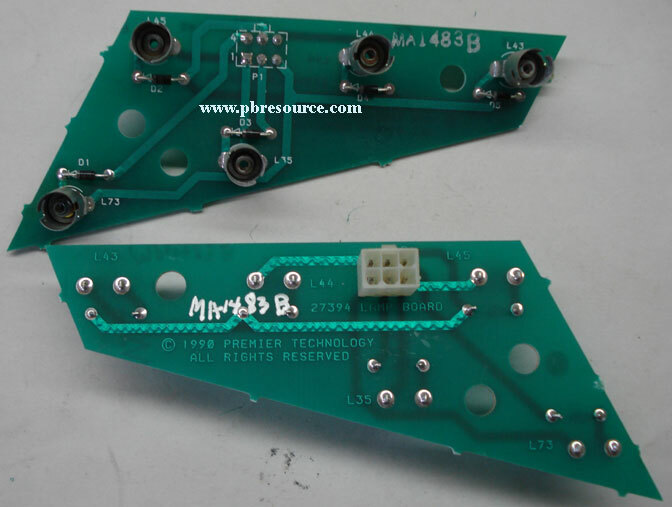 This board can be used to replace your corroded KISS metal lamp grid plate. 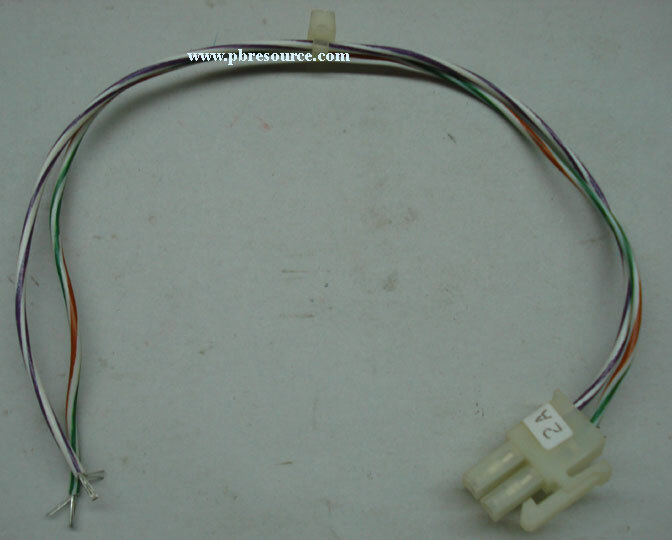 This is a replacement light strip for a Bally Xenon. 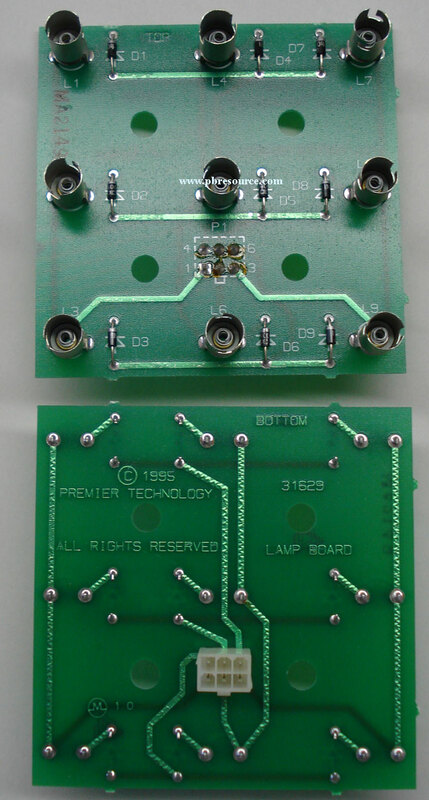 It includes the lamps! 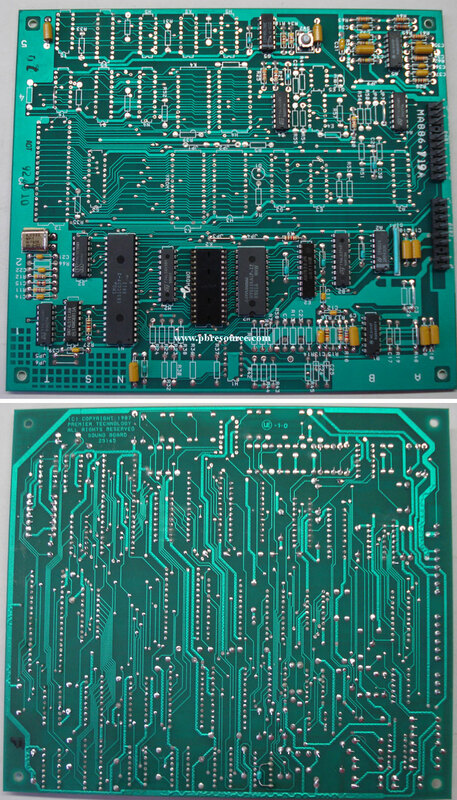 This is a G.L.M replacement board set for the Bally 6803 games, Atlantis, Blackwater 100, Escape From The Lost World and Truckstop! 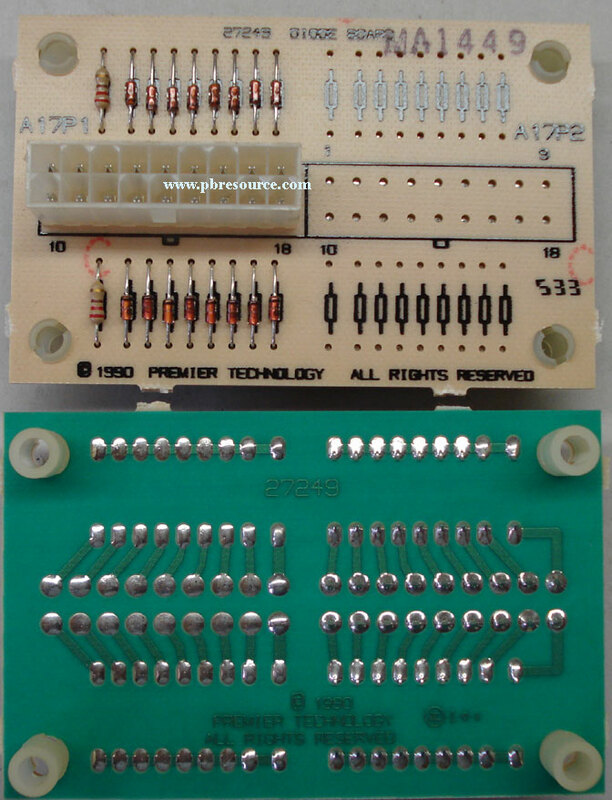 This is a G.L.M replacement Keypad for the Bally 6803 games, Atlantis, Beat The Clock, Black Belt, Blackwater 100, City Slickers, Dungeons and Dragons, Eight Ball Champ, Escape From The Lost World, Hardbody, Heavy Metal Meltown, Lady Luck, Motordome, Party Animal, Special Forces, Strange Science, and Truckstop! 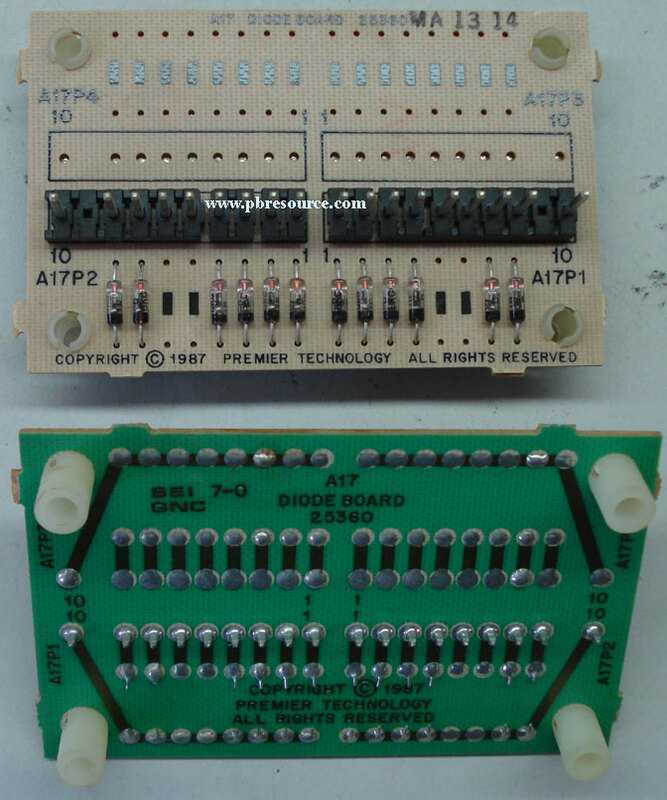 We have many more boards in stock! 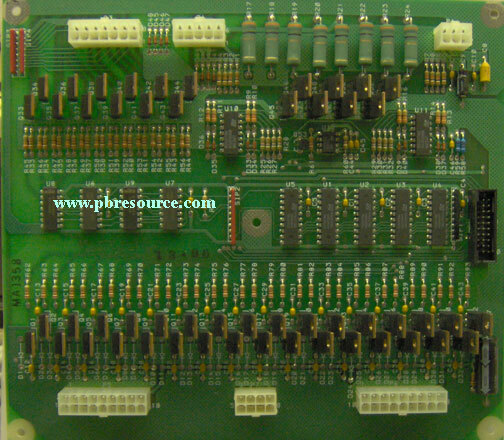 Don't see the board you need listed, contact us! 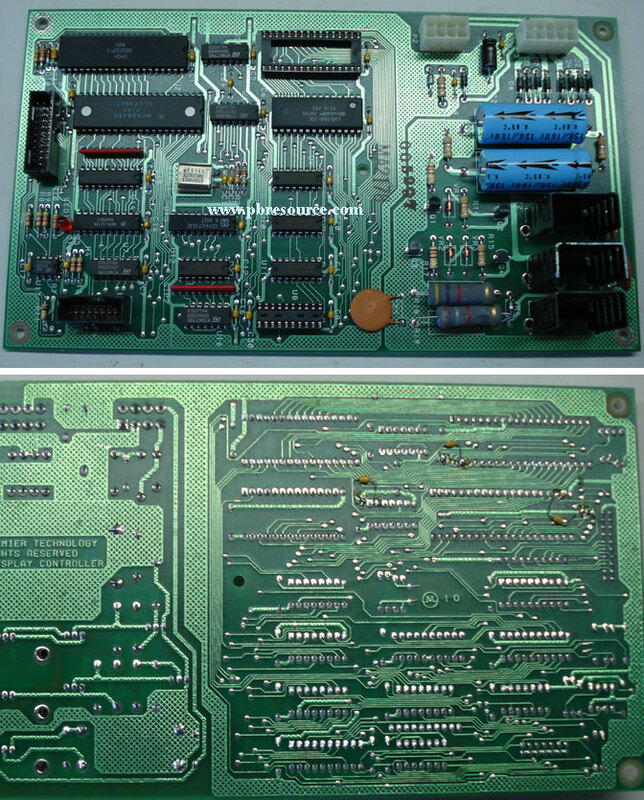 The NI-WUMPF Gottlieb® System 1 Mark II Replacement CPU Board supports all 16 System 1 Games! 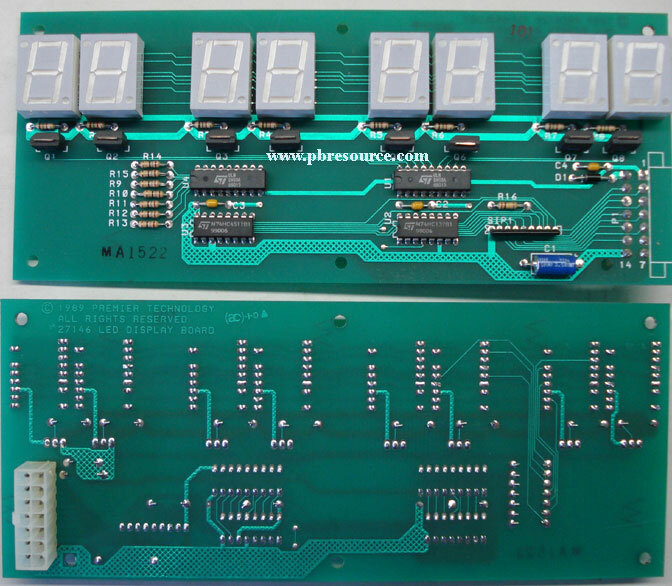 This board is a technological pinball breakthrough for System 1 owners! 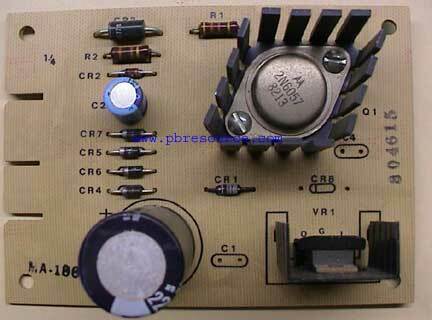 This board is a direct replacement for the original power supply! 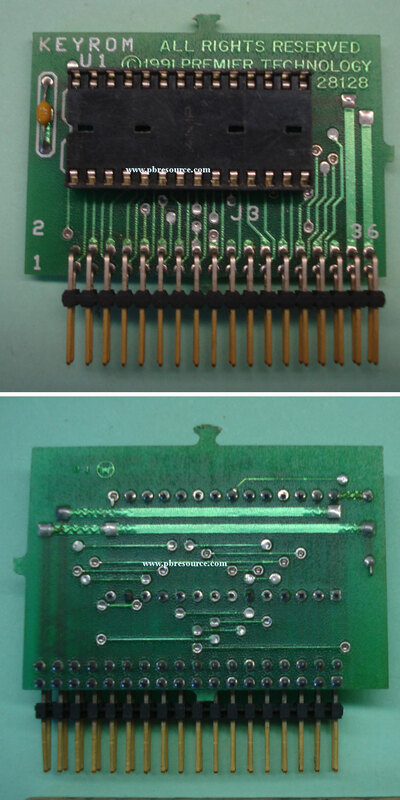 Click on the thumbnail see to a larger picture!. 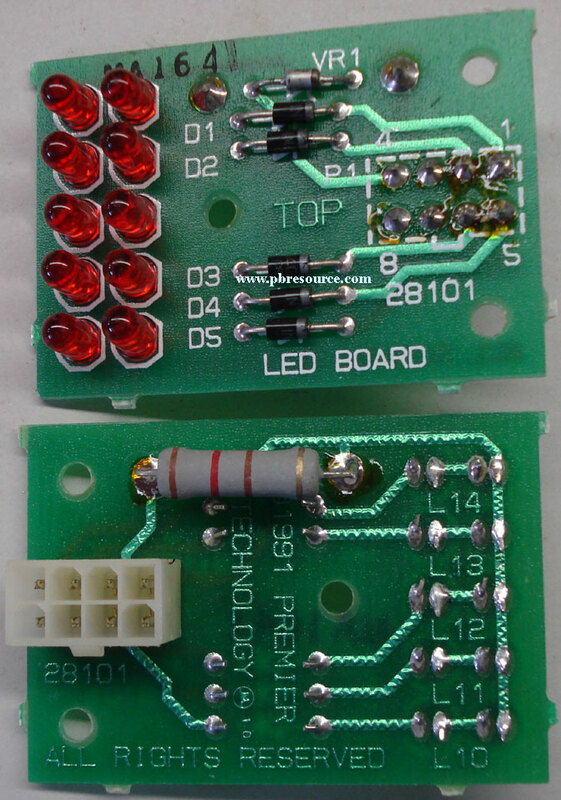 This board is 5-3/4” X 3-3/4”. 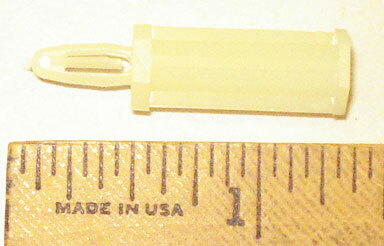 It includes installation instructions and mounting hardware. 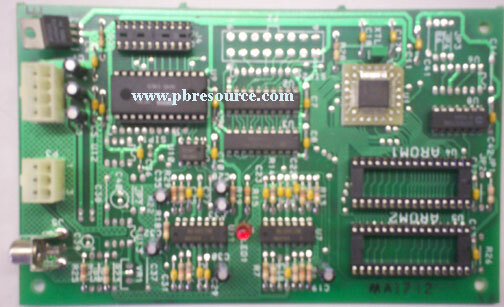 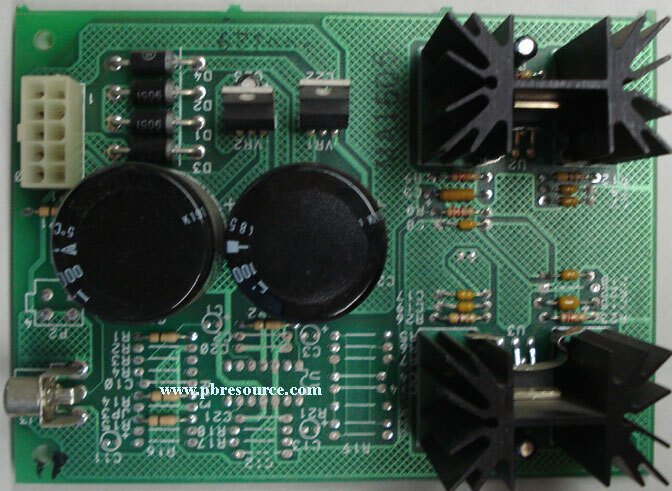 This board features a high efficient switching circuit for the 5Volts. 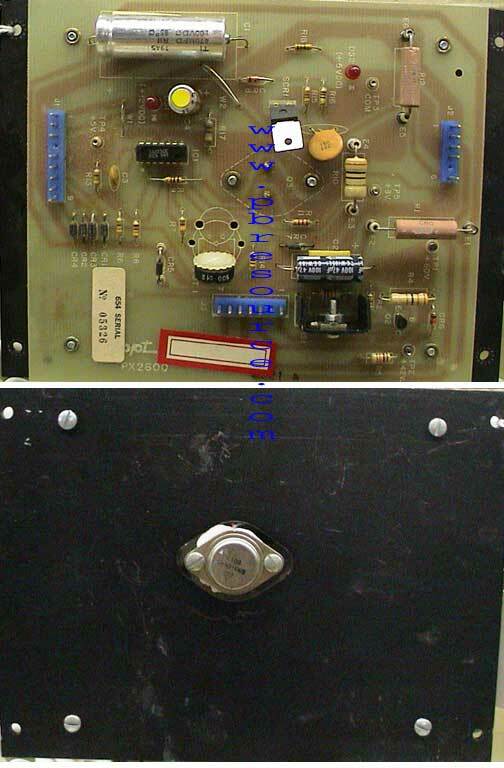 The board features test points to check all of the voltages. 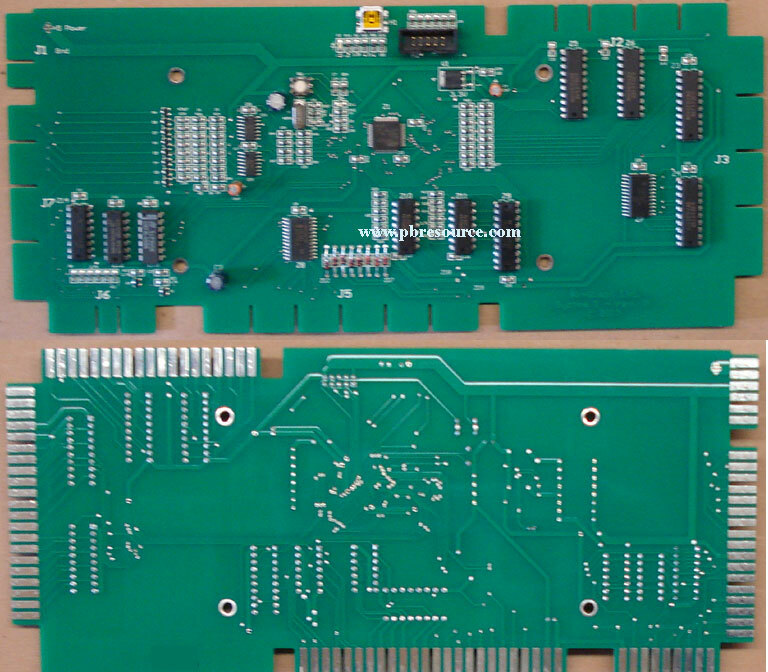 The NI-WUMPF Gottlieb® System 1 Replacement Driver Board supports all 16 System 1 Games! 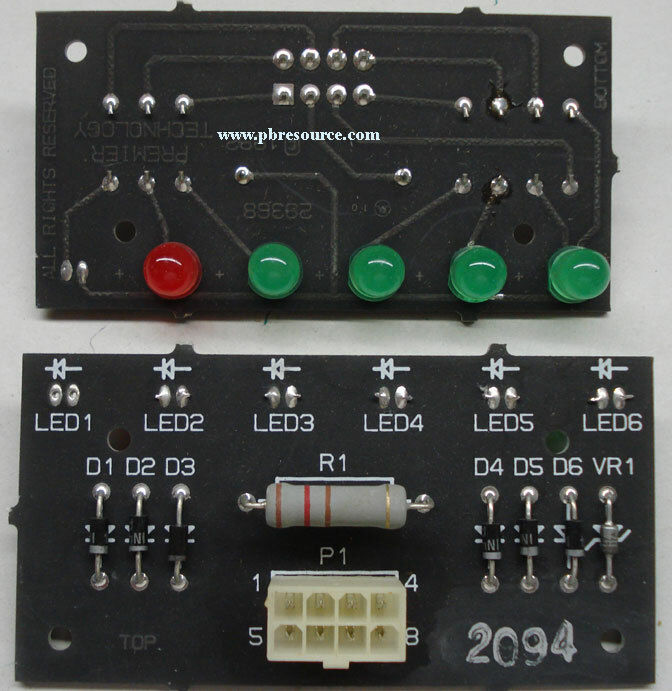 This redesigned board addresses many of the short comings of the original board/design. 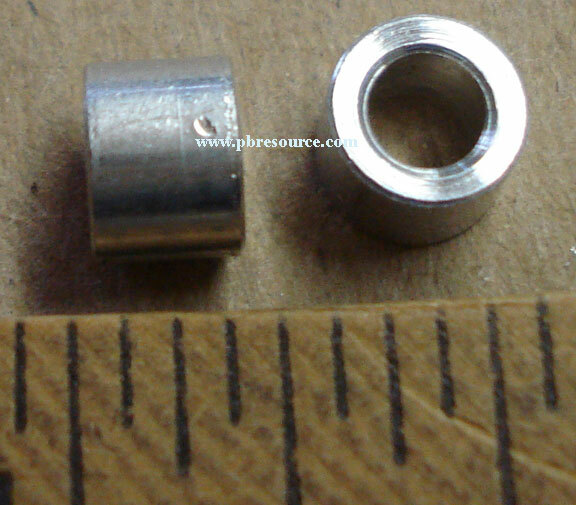 Click on the thumbnail to see a larger picture. 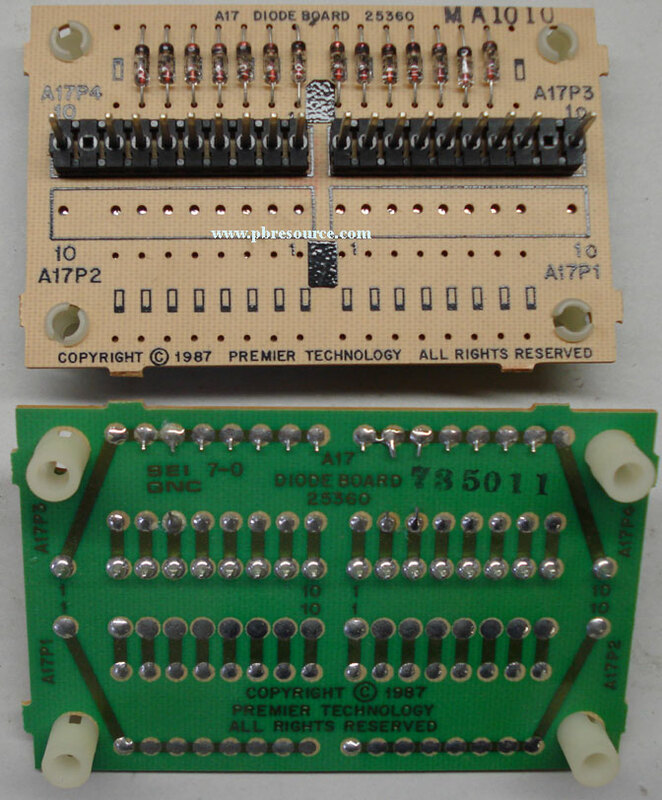 *Note: The above board is only compatible with original Gottlieb® Boards, Ni-Wumpf CPU Board, and/or GPE Power Supplies. 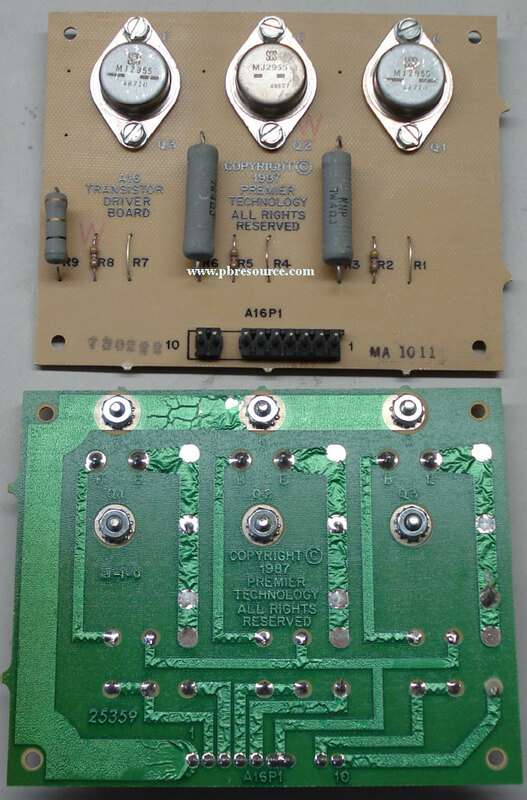 Suggest checking with Ni-Wumpf before using with replacement boards from other vendors. 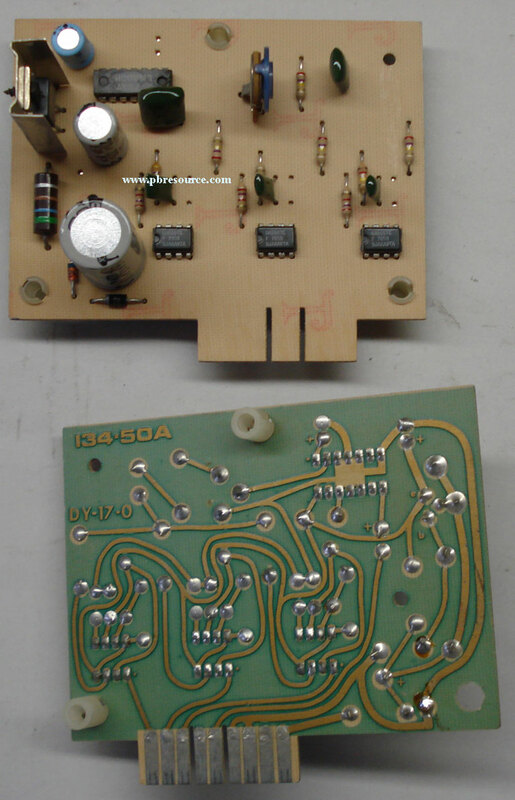 Reconditioned by certified Gottlieb Technicians. 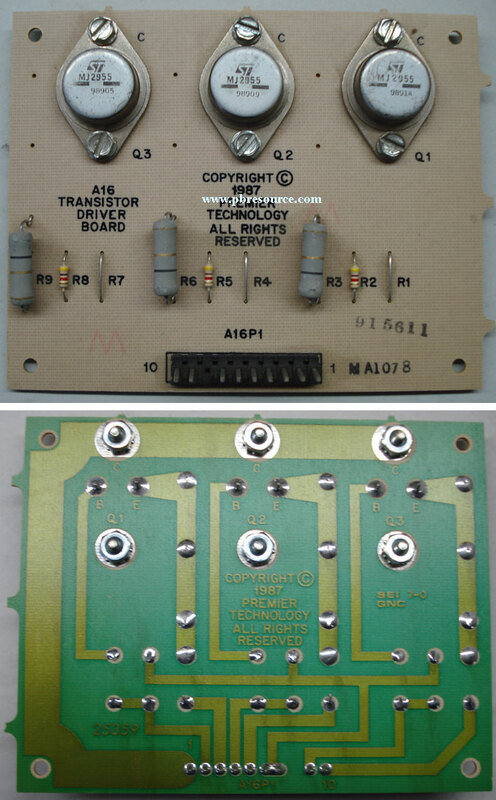 Used in Solid State versions of Close Encounters, Charlies Angels, Solar Ride, Count-Down, and Pinball Pool! 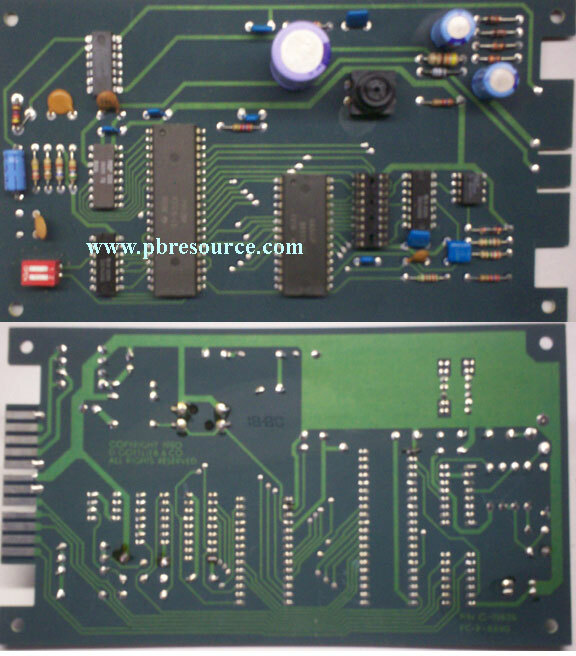 This board is a direct replacement for the original power supply for System 80 and System 80A games! 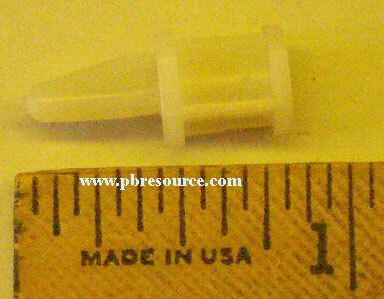 Click on the thumbnail see to a larger picture!. 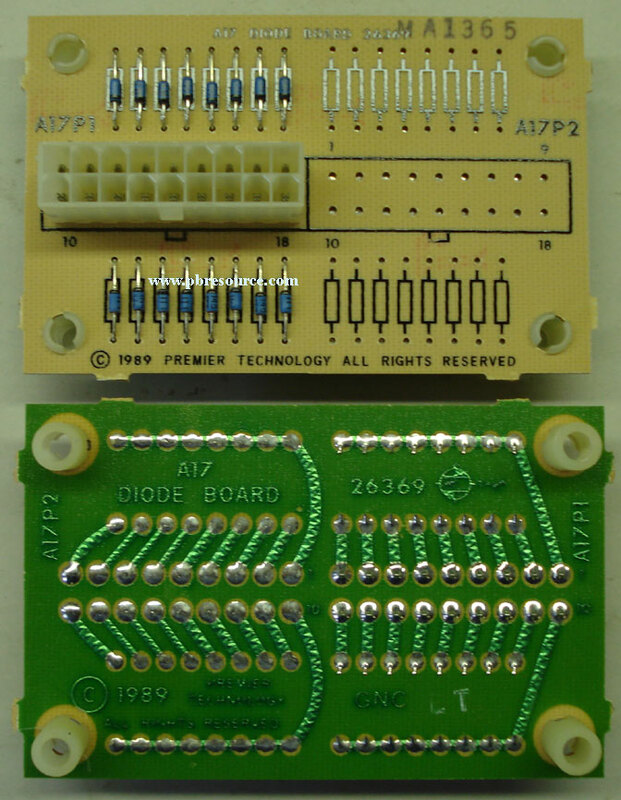 This board is 7-3/4” X 3”. 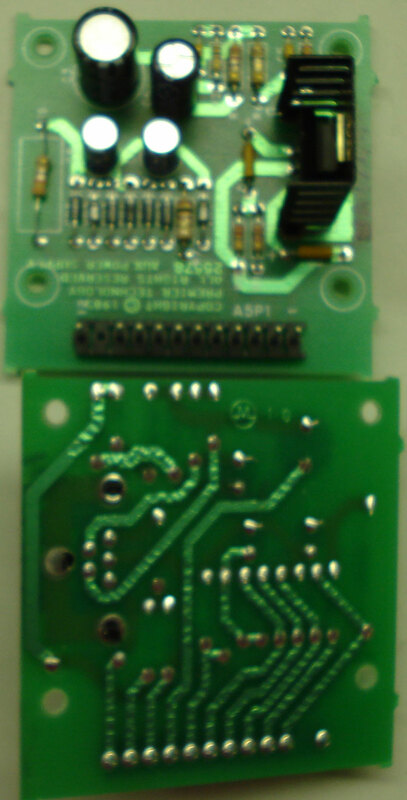 It includes installation instructions and mounting hardware. 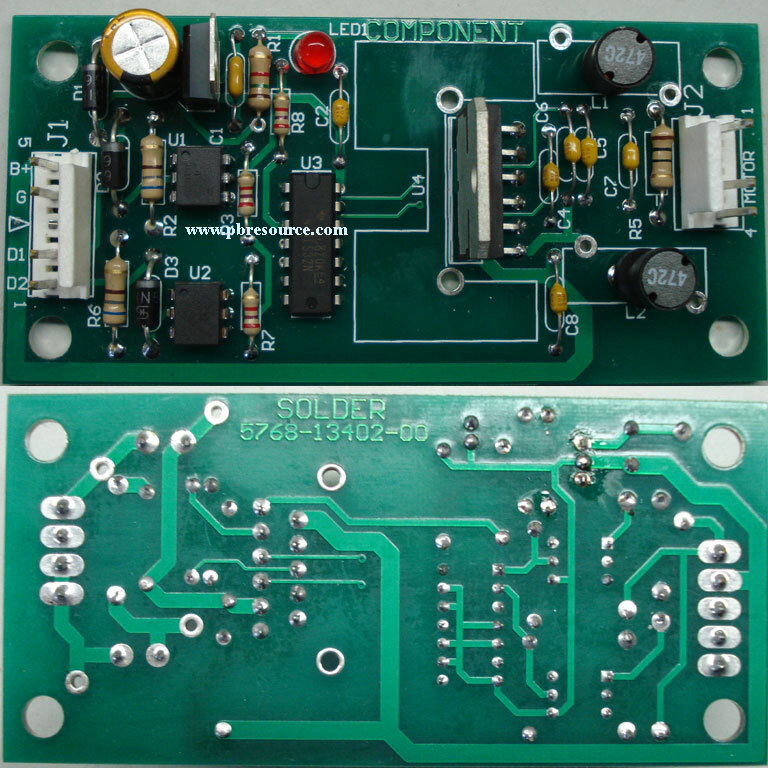 This board features a high efficient switching circuit for the 5Volts. 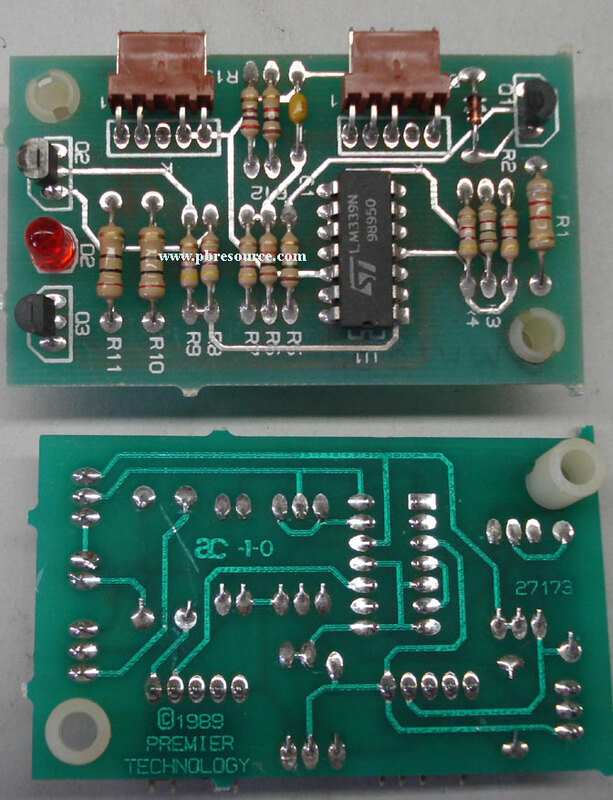 The board features test points to check all of the voltages. 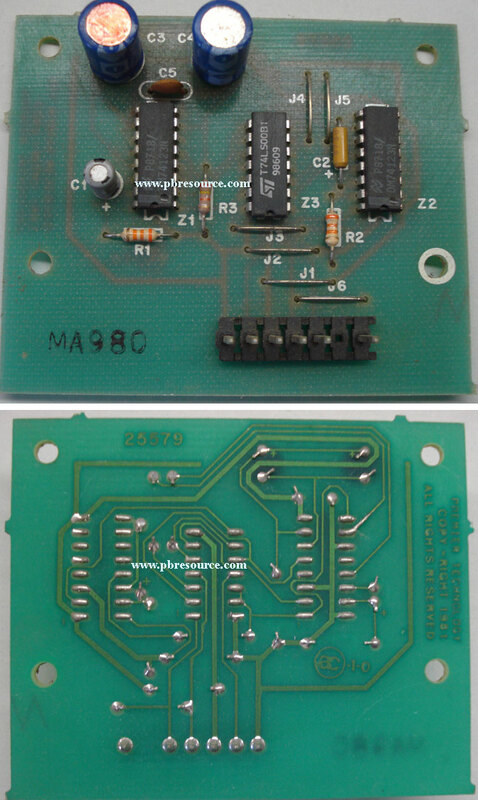 This board is a direct replacement for the original power supply for System 80B games! 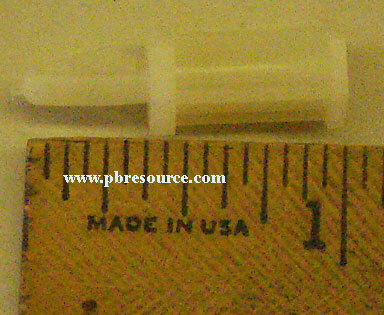 Click on the thumbnail see to a larger picture!. 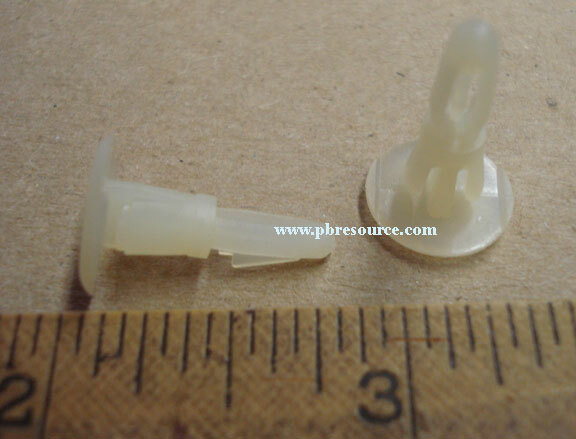 It includes installation instructions and mounting hardware. 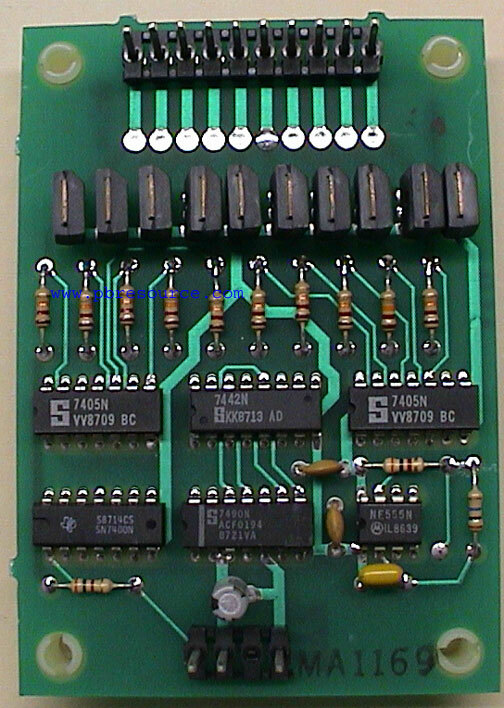 The board features test points to check all of the voltages. 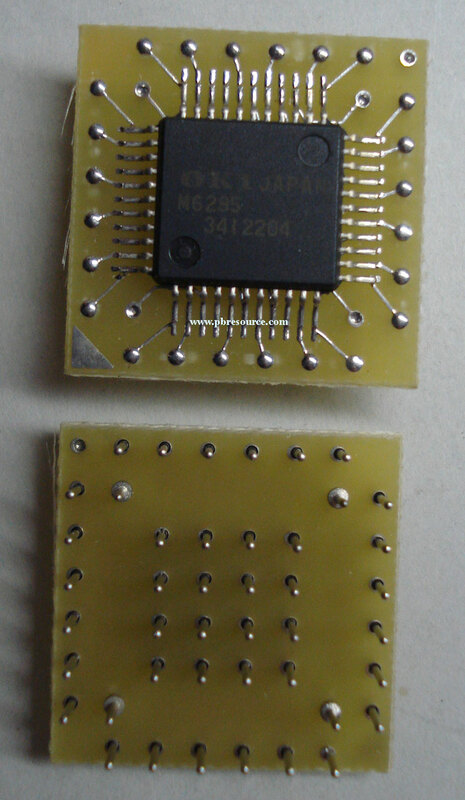 Used on games like Rock and Rock Encore! 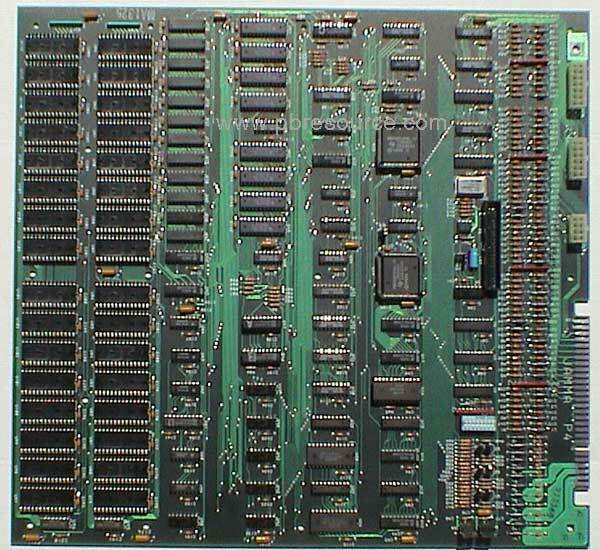 Same for all System 80 games! 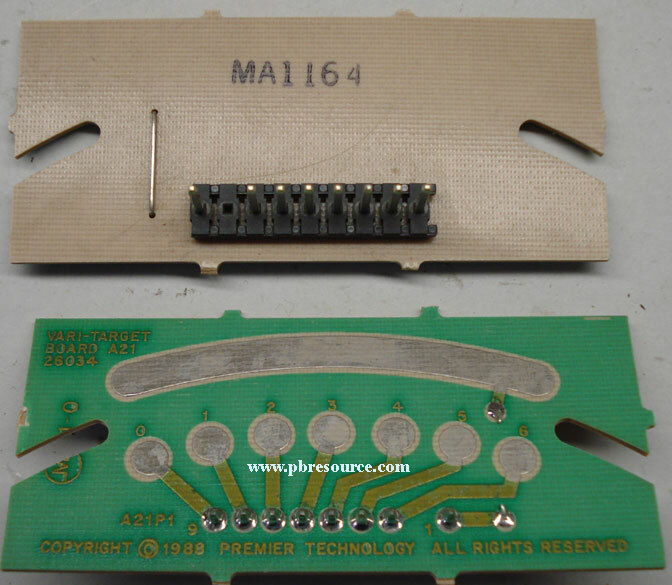 Used on games like Night Moves! 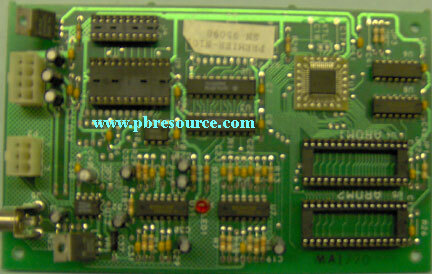 Spiderman, Panthera, Circus, Counter Force, Star Race, James Bond, Time Line, Force II, and Pink Panther. 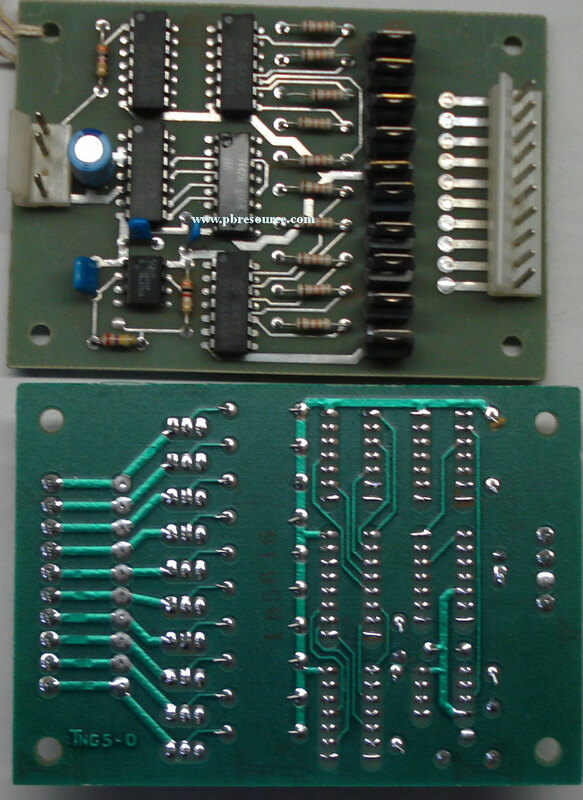 Super Orbit and Royal Flush Deluxe. 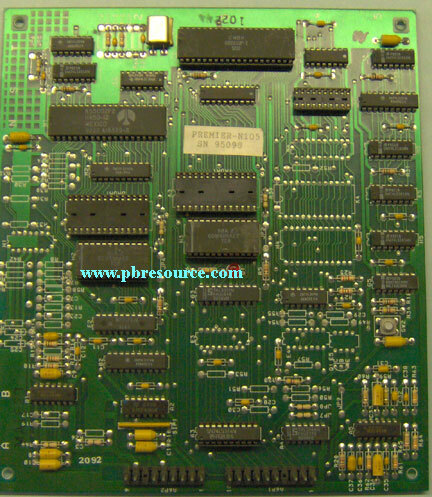 This is also the base board used in the video / arcade games Krull, Mad_Planets, and Reactor -If you need the daughter/piggyback board, see GTB-MA483 listed below. 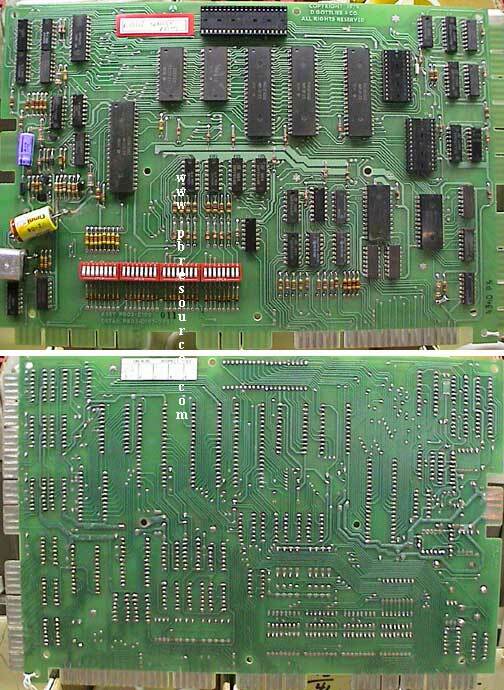 *NOTE: This board does Not have speech capabilities. 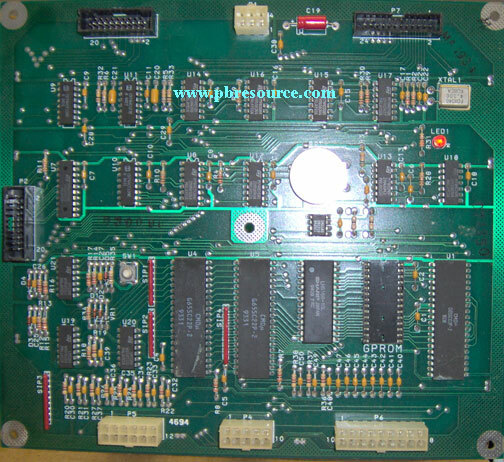 We have been told by multiple clients that if your System 80 game uses sound only, originally used sound board MA-216, and is not supposed to have speech, this board will work. 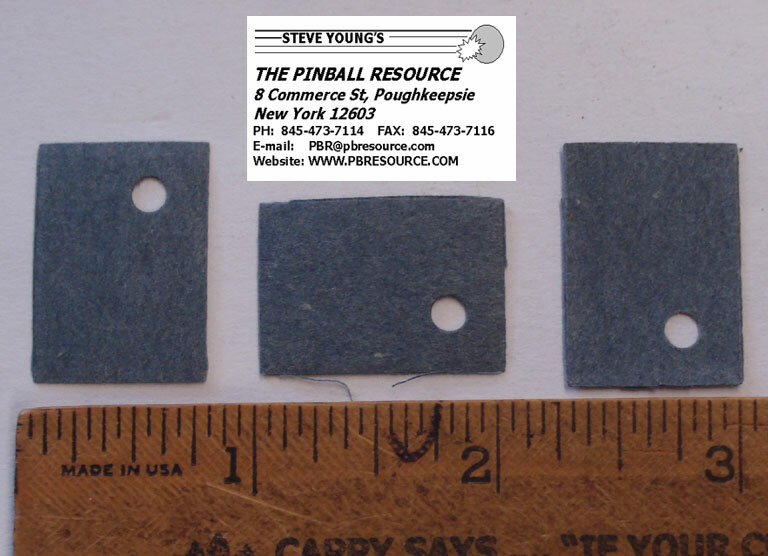 This applies to games like Eclipse, Haunted House, Punk, Striker, and Spirit. 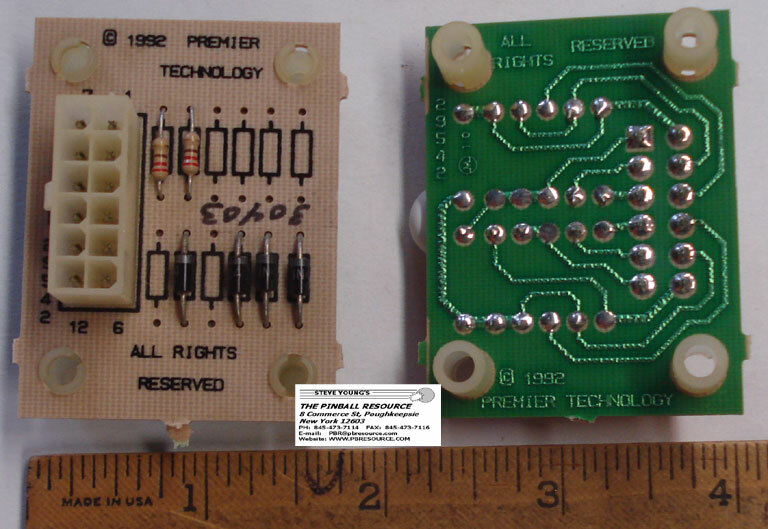 Alien Star, Amazon Hunt, Bounty Hunter, Chicago Cubs Triple Play, El Dorado City Of Gold, Ice Fever, Jacks to Open, Rack 'Em Up, Ready Aim Fire!, Tag Team, and Touchdown. 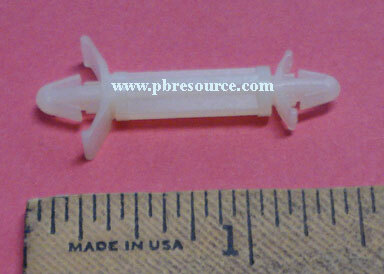 Genesis, Gold Wings, Hollywood Heat, Monte Carlo, Raven, Spring Break, Rock, and Rock Encore. 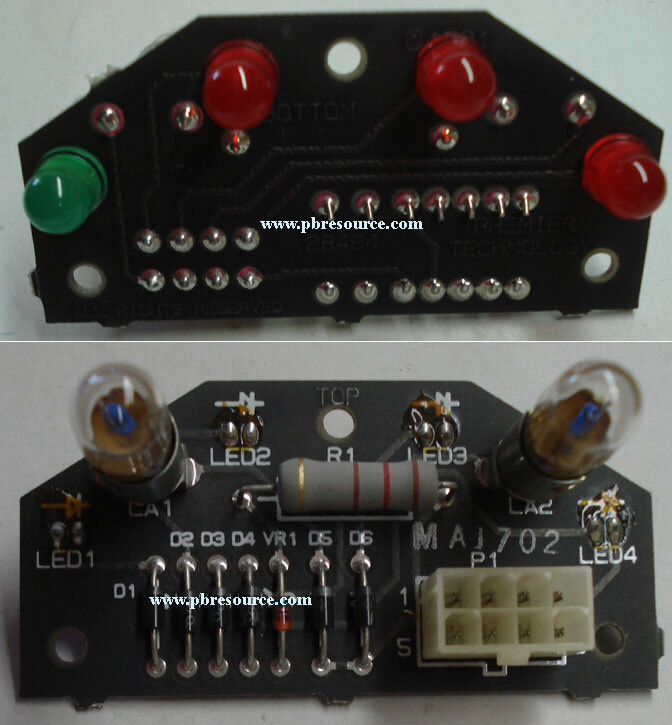 Click here for the Opto's! 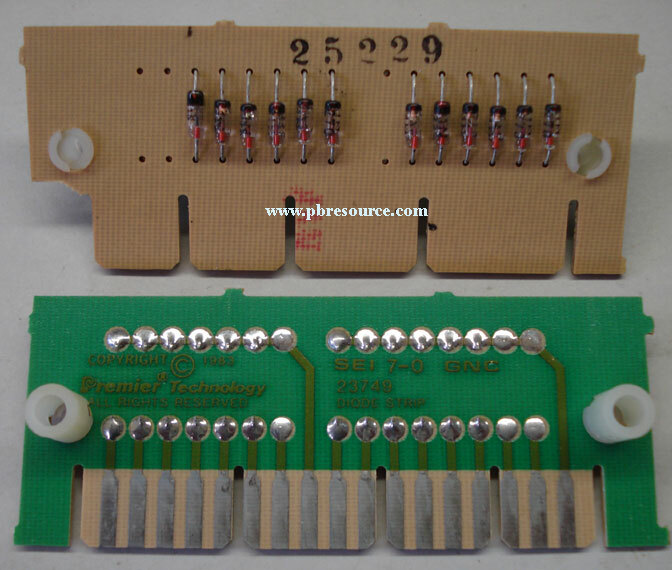 *NOTE: Pins on this board are Striaght-See Thumbnail – Ensure this matches the board in your game! 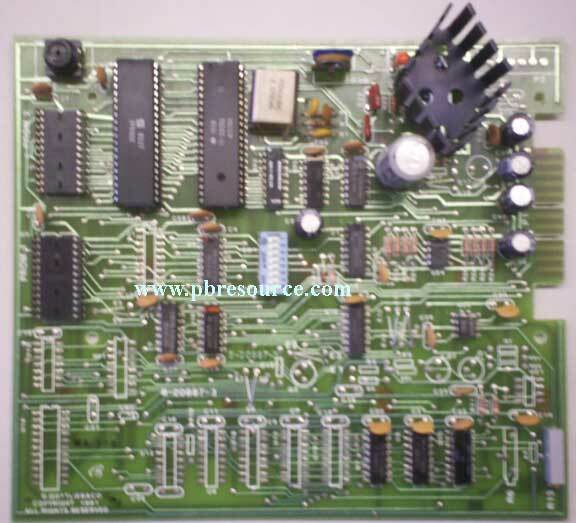 Please validate the part number of the board you need against what's listed below! 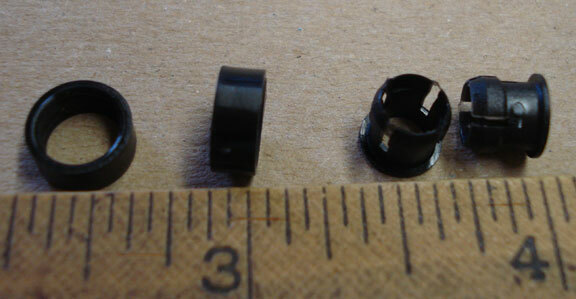 Fits game: Lights, Camera, Action! 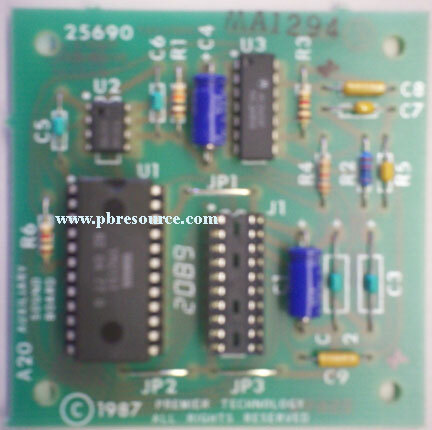 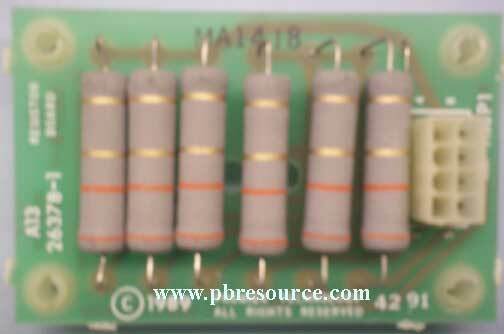 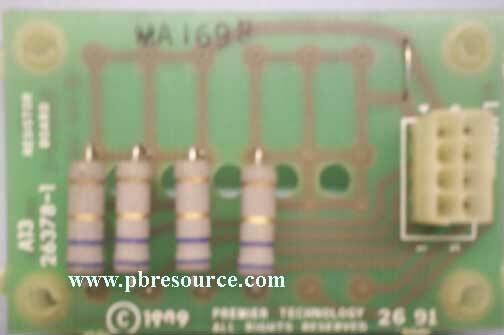 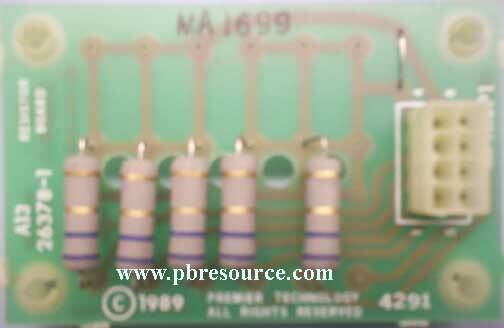 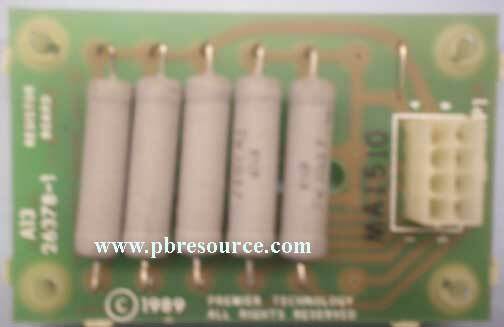 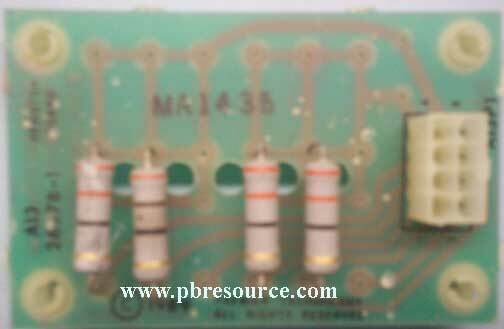 GTB-MA1334 can be used as a substitute board for MA2108 if you remove the zero Ohm resistor at JP1. 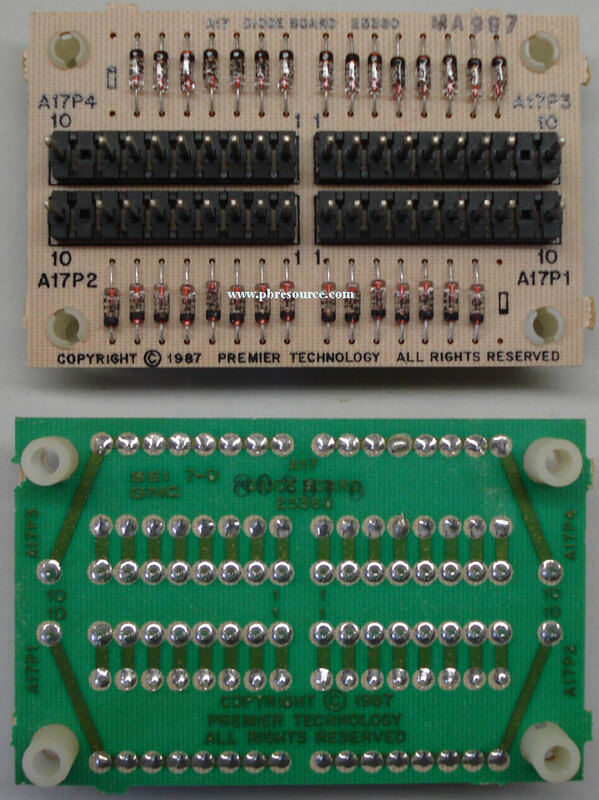 This optional board allows a Gottlieb® System 3 pinball machine(Tee'd Off and later) to interface with a serial line printer via a RS232C Cable(Not Included) to output bookkeeping information! 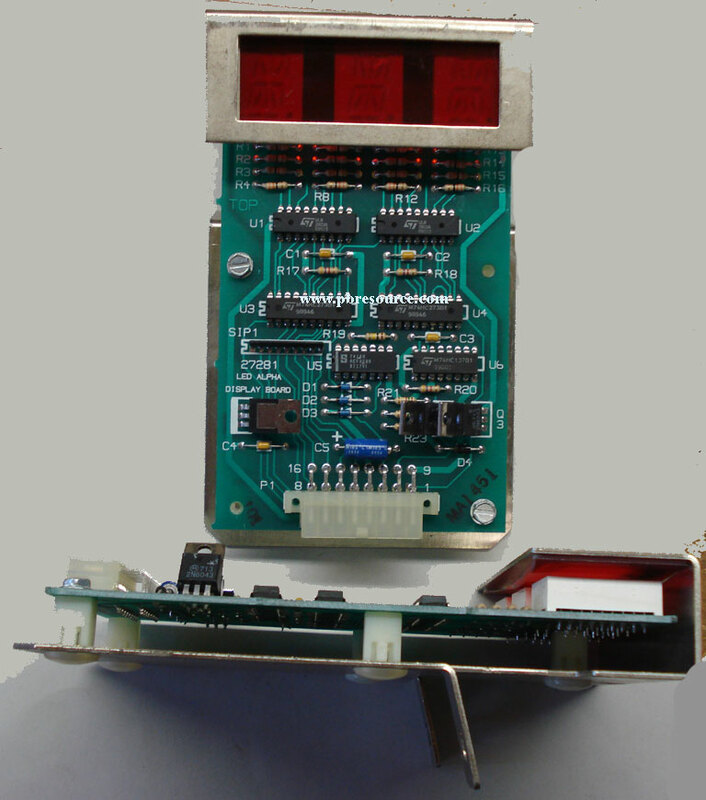 Card Includes Ribbon Cable #29839! 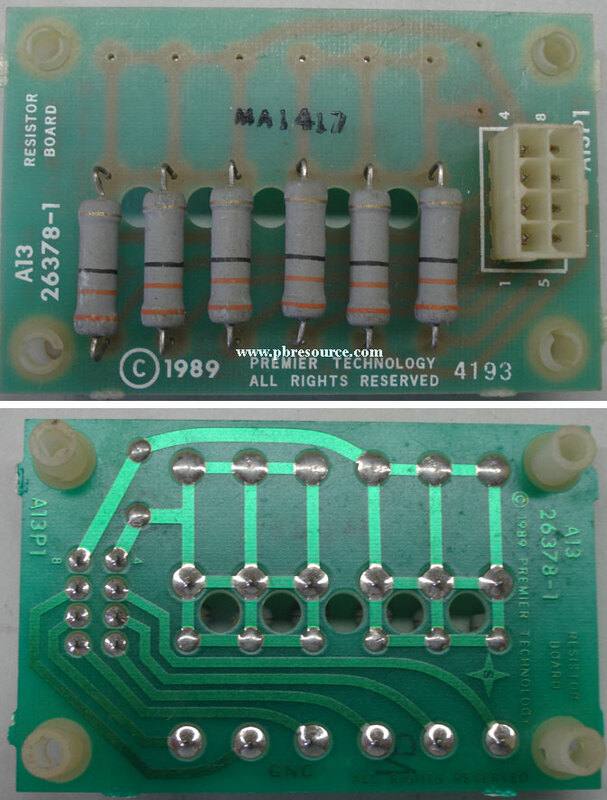 Used on Lights, Camera, Action! 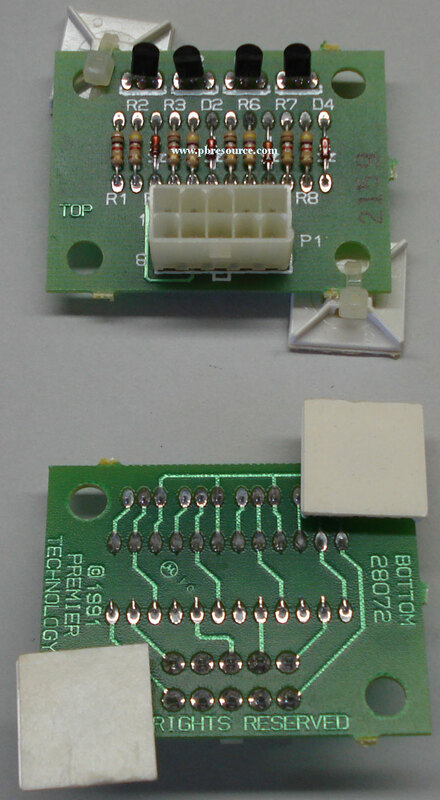 Used on Many System 3 games -Is the only way the connector is offered! 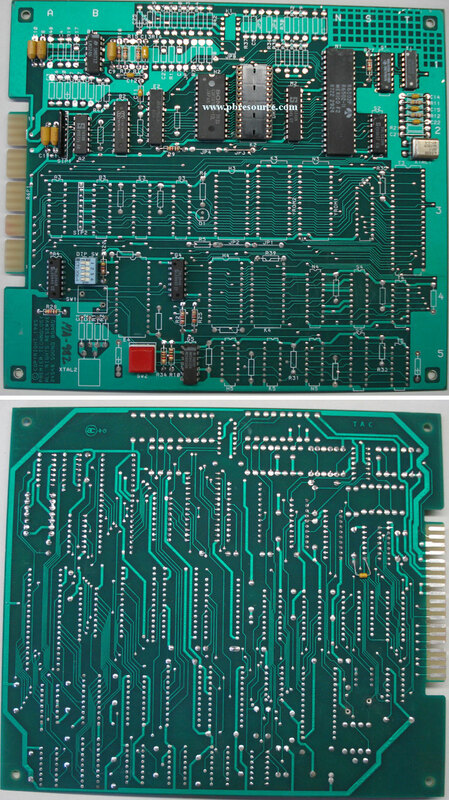 Used on System/1, System/80, and System 3 games! 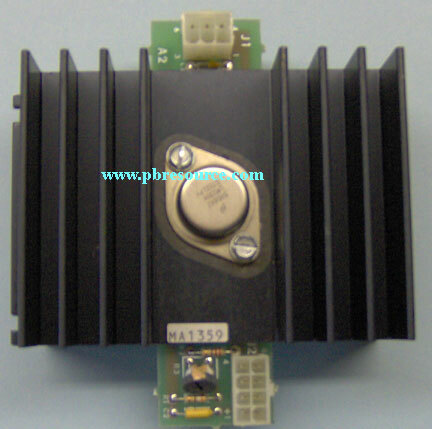 GTB-MA1325 -On Special -Click Here! 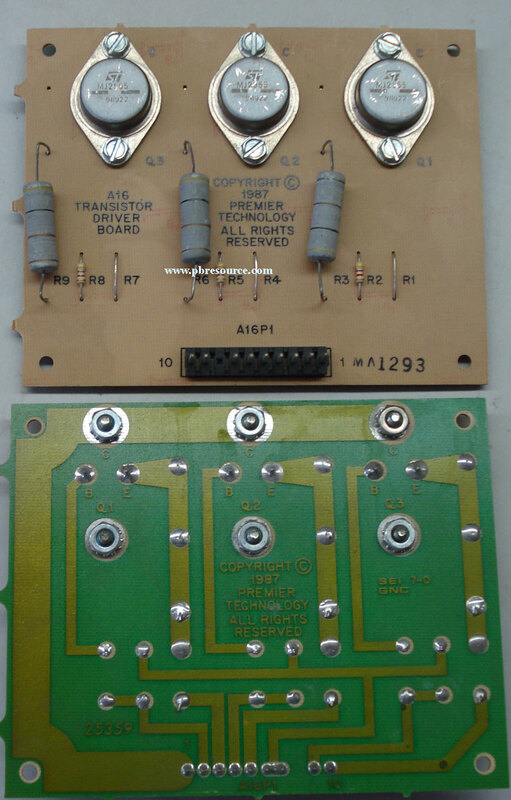 Used on video games like Three Stooges. 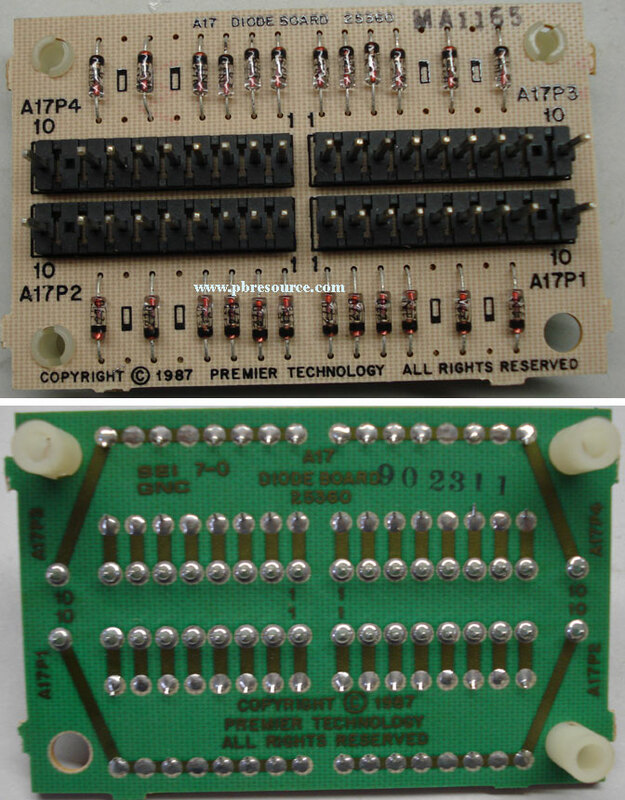 This is a G.L.M replacement board for type I or type II flipper boards for Williams/Bally games. 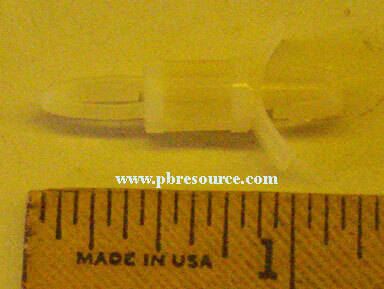 There are no optos to get dirty or plastic interruptors to break or warp. 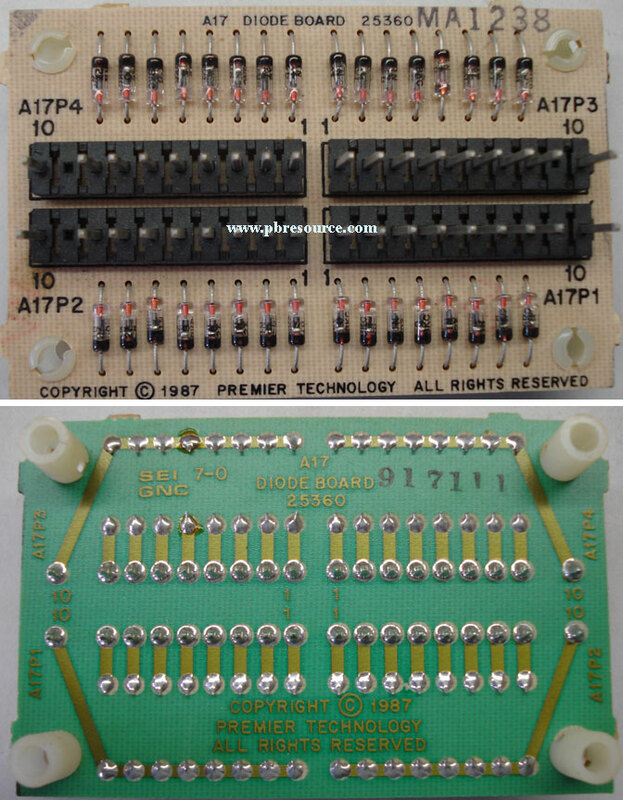 It replaces Williams/Bally part number A-15894 and A-17316! 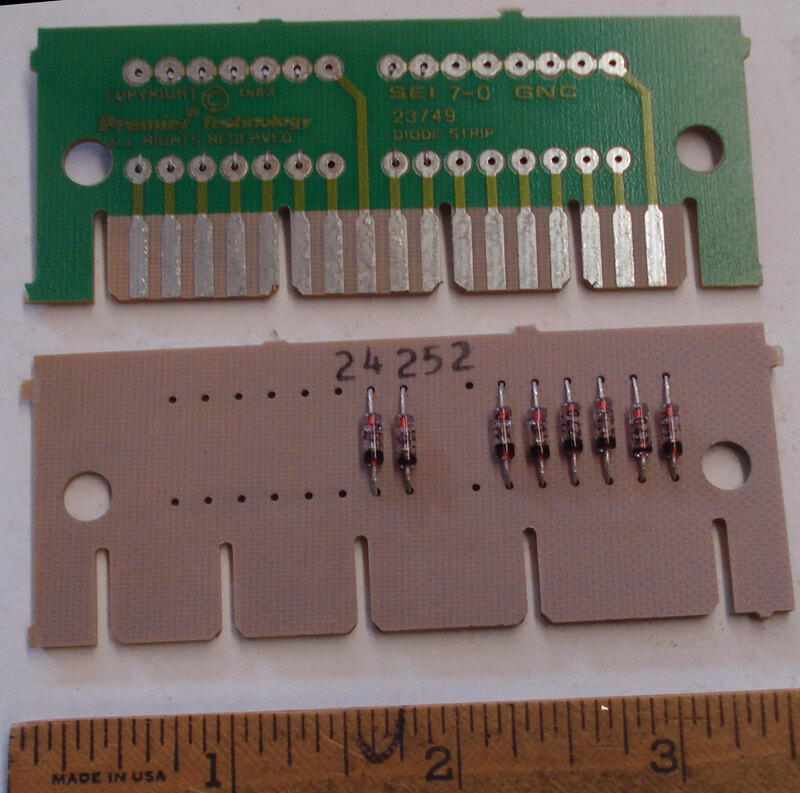 This is a G.L.M replacement board set for the Williams/Bally WPC Widebody Games. 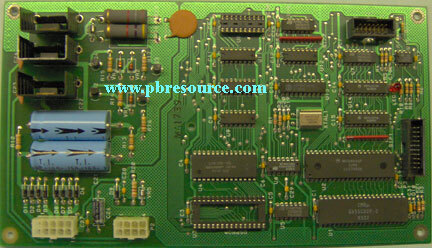 Its used in Demolition Man, Indiana Jones, Judge Dredd, Popeye Saves The Earth, and Star Trek The Next Generation(STTNG). 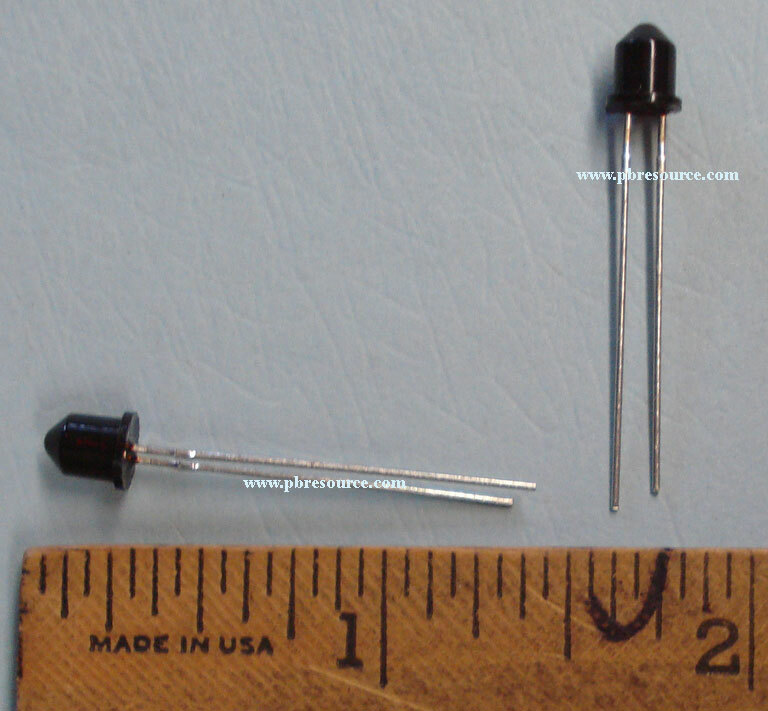 These are sold as a set, includes DCS-TR and DCS-TT. 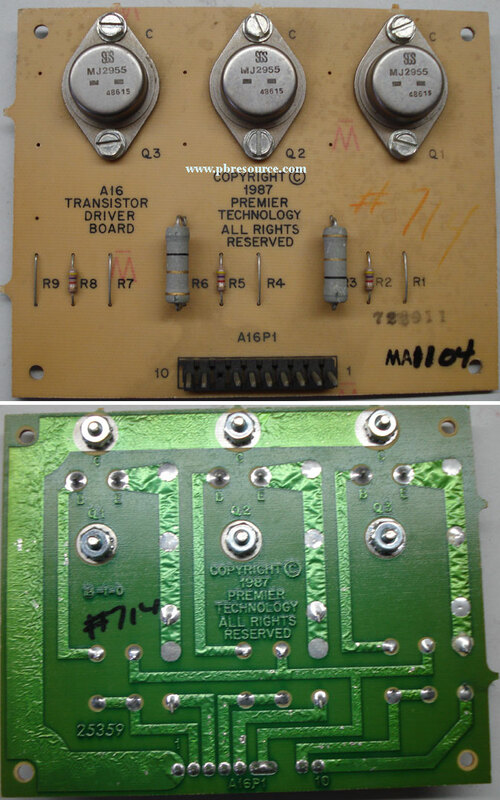 They replace Williams/Bally part number A-16926 and A-16927! 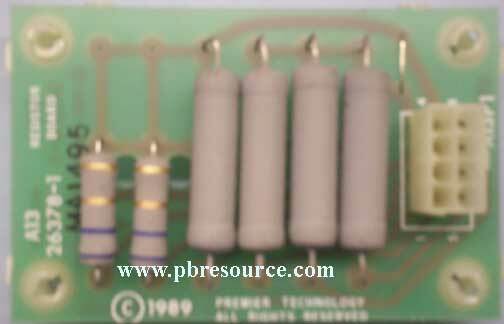 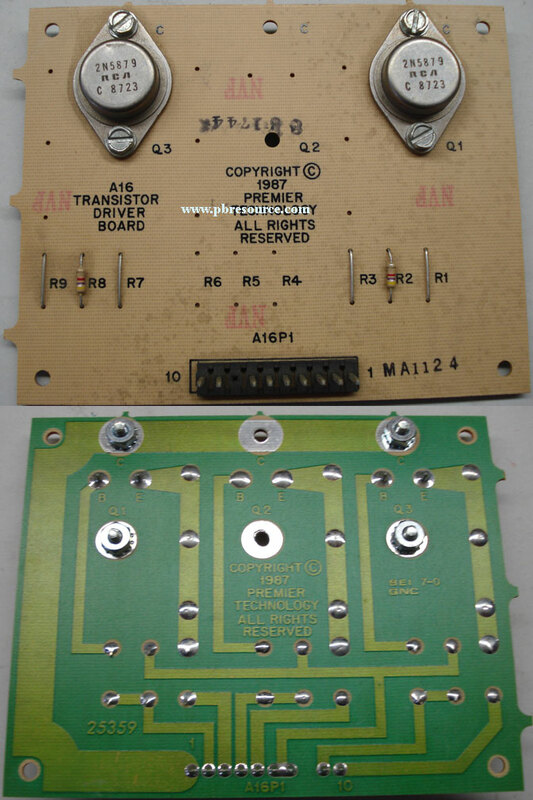 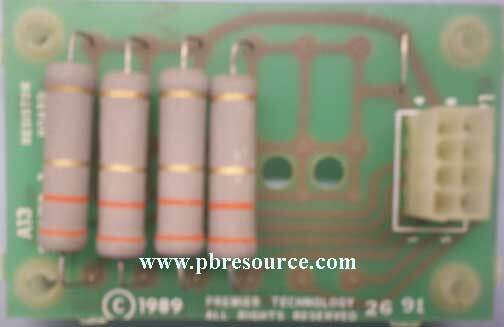 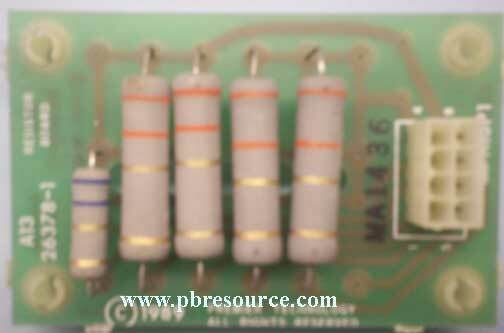 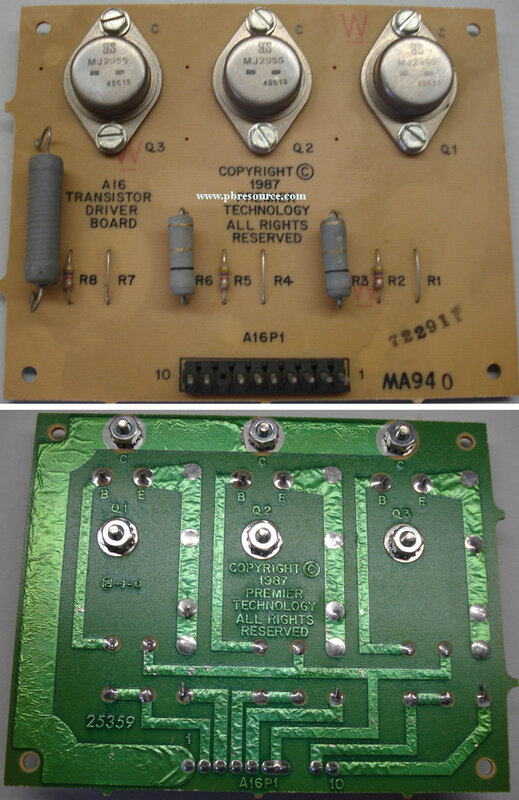 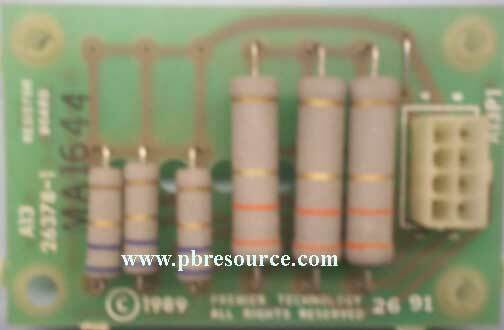 Williams/Bally WPC, WPC-95, And Pinball 2000 Replacement Ball Trough Transmitter & Receiver! 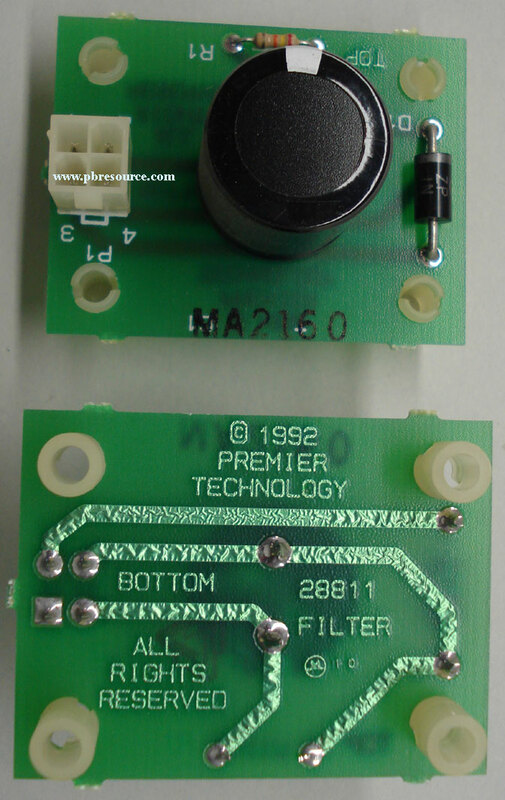 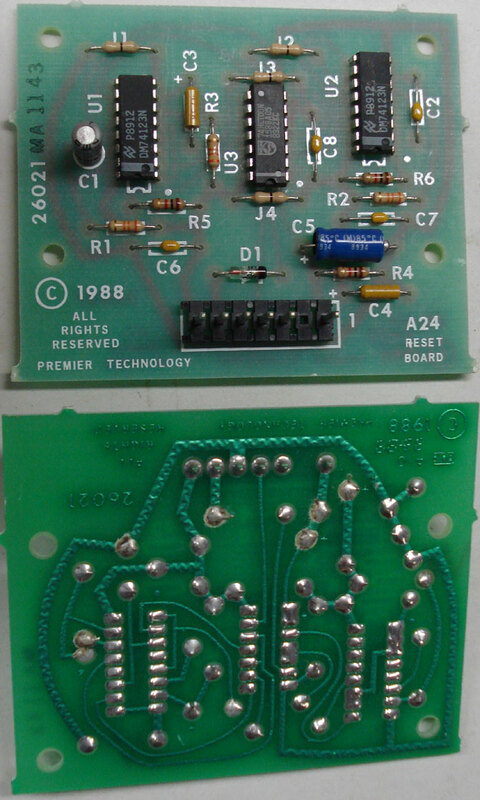 This is a G.L.M replacement Transmitter board for the Williams/Bally WPC, WPC-95, and Pinball 2000 Games. 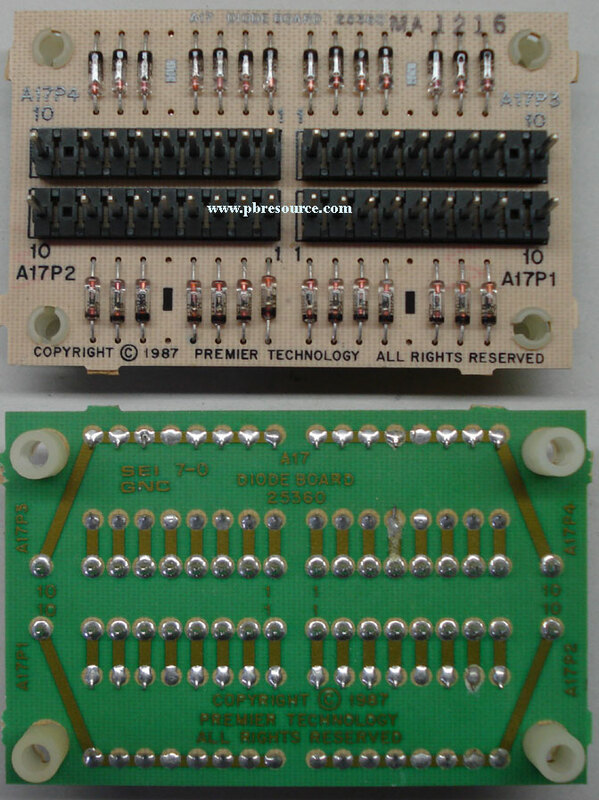 This board is a replacement for A-18617! 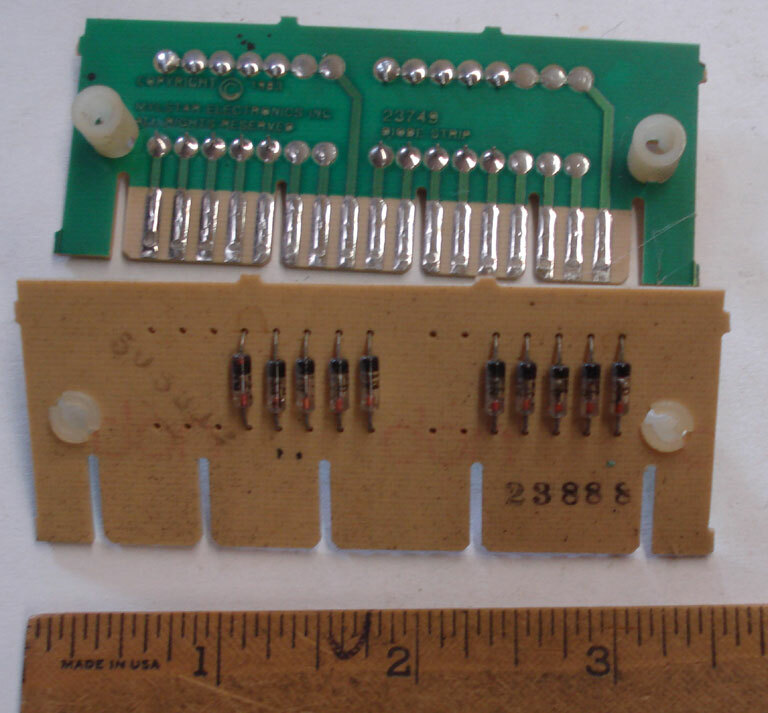 This is a G.L.M replacement Receiver board for the Williams/Bally WPC, WPC-95, and Pinball 2000 Games. 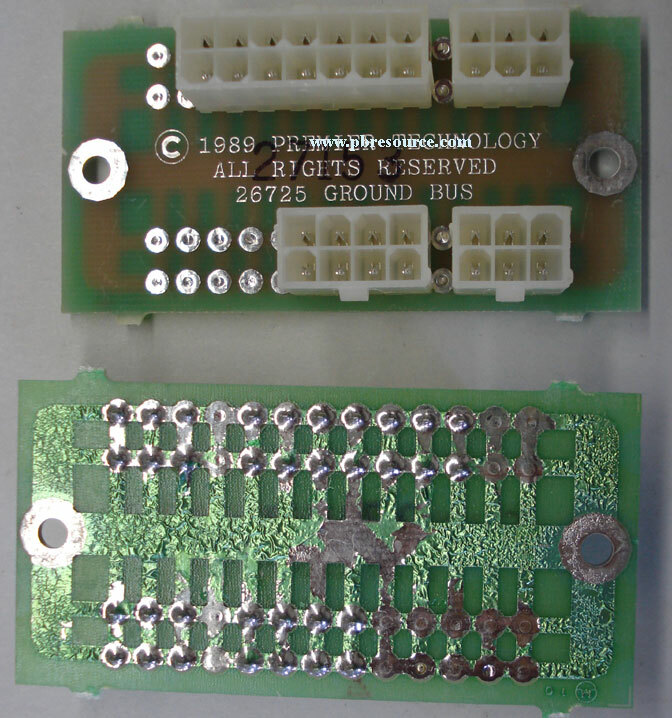 This board is a replacement for A-18618! 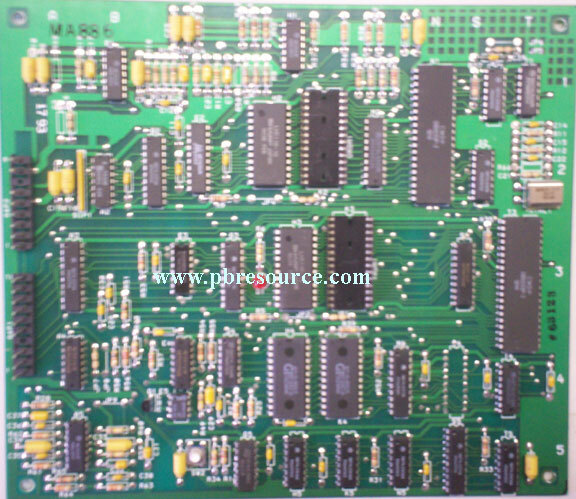 Attack from Mars, Cactus Canyon, Cirqus Voltaire, Congo, Corvette, Dirty Harry, Indy 500, Jackbot, Johnny Mnemonic, Junkyard, Medieval Madness, Monster Bash, NBA FastBreak, No Fear, No Good Gophers, Revenge From mars, Roadshow, Safecracker, Scared Stiff, Star Wars Episode 1, Tales Of The Arabian Nights(TOTAN), The Champion Pub, The Flintstones. 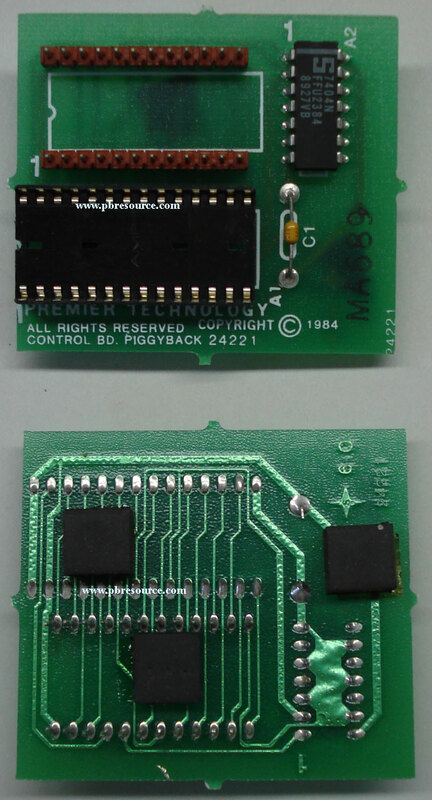 The Shadow, Theatre Of Magic, Who Dunnit, and World Cup Soccer 94. 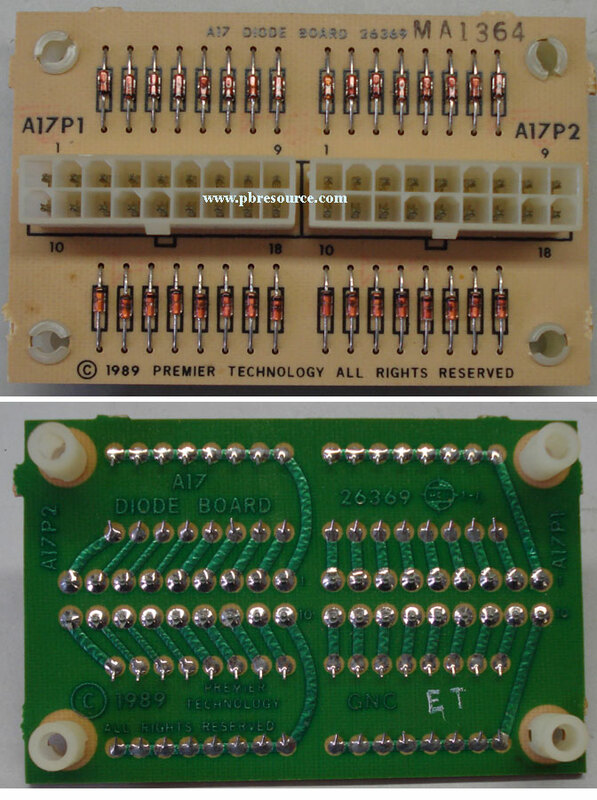 This is a G.L.M replacement 16 Opto Switch board for the Williams/Bally WPC Games. 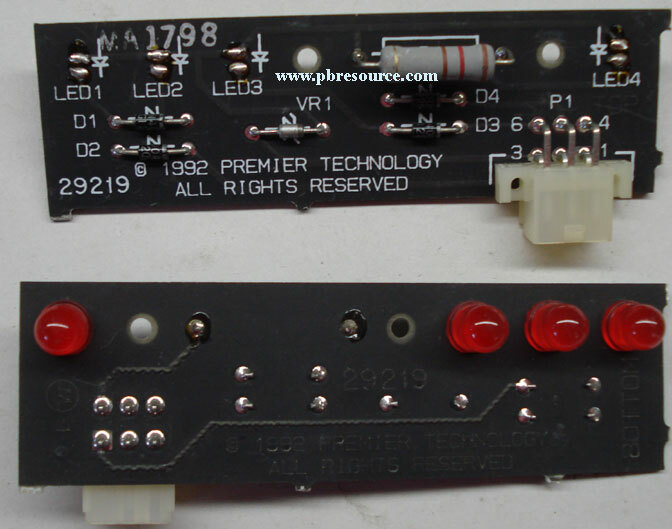 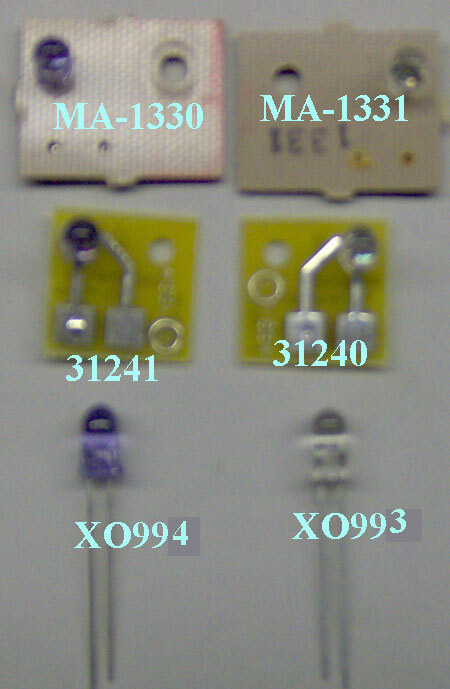 This board is a replacement for A-16998 and A-17223. 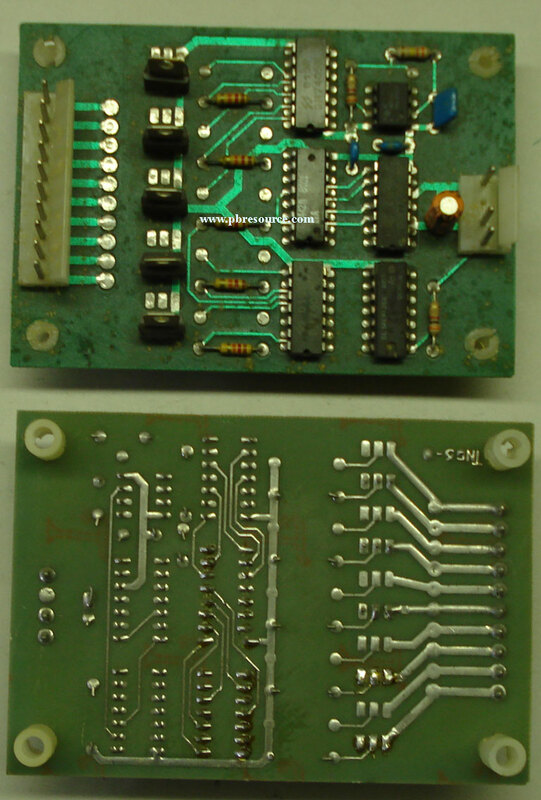 Dirty HarrWLLy, Junk Yark, Scared Stiff, Star Trek The Next Generation(STTNG), and Who Dunnit. 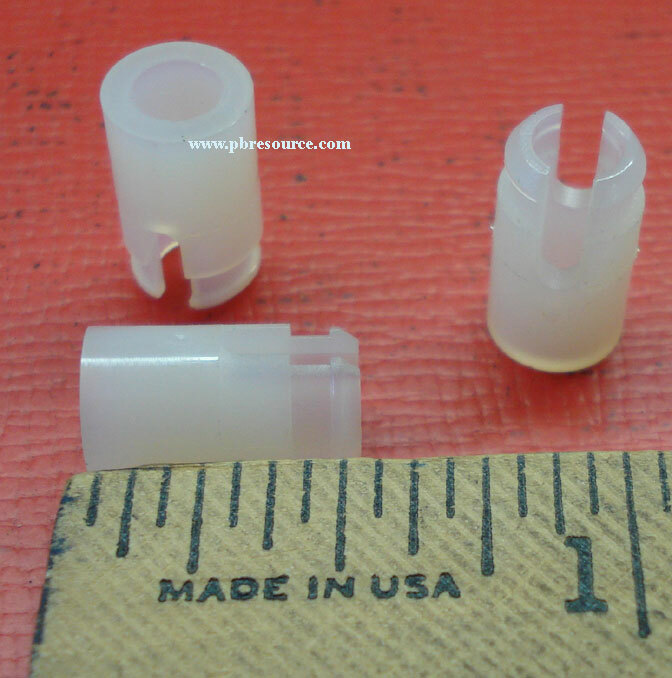 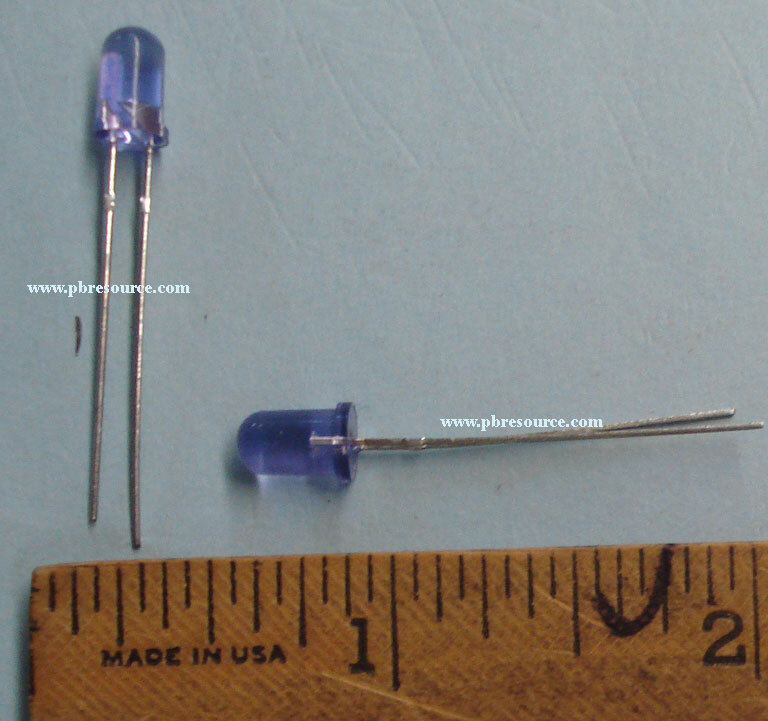 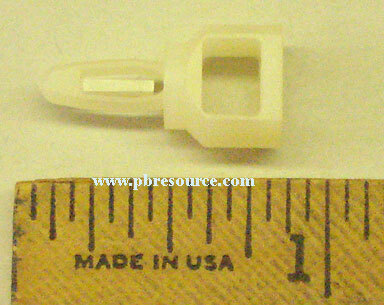 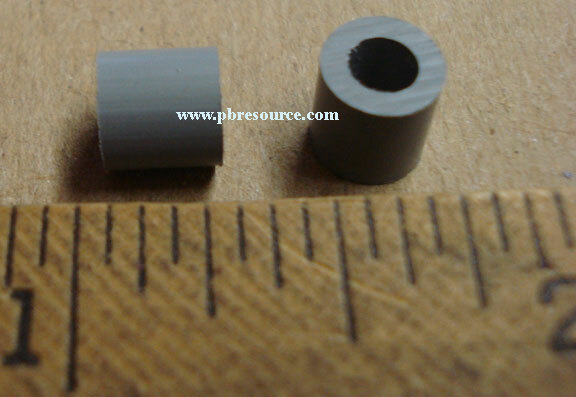 These are G.L.M replacement Opto for Williams/Bally Playfields. 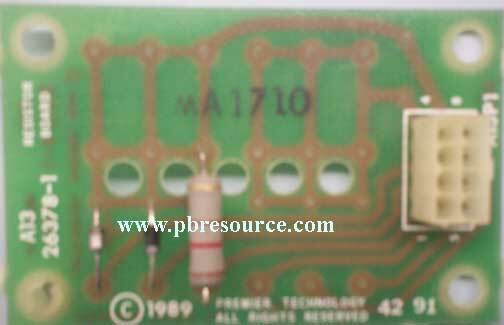 Replaces original part number A-14231 and A-16908. 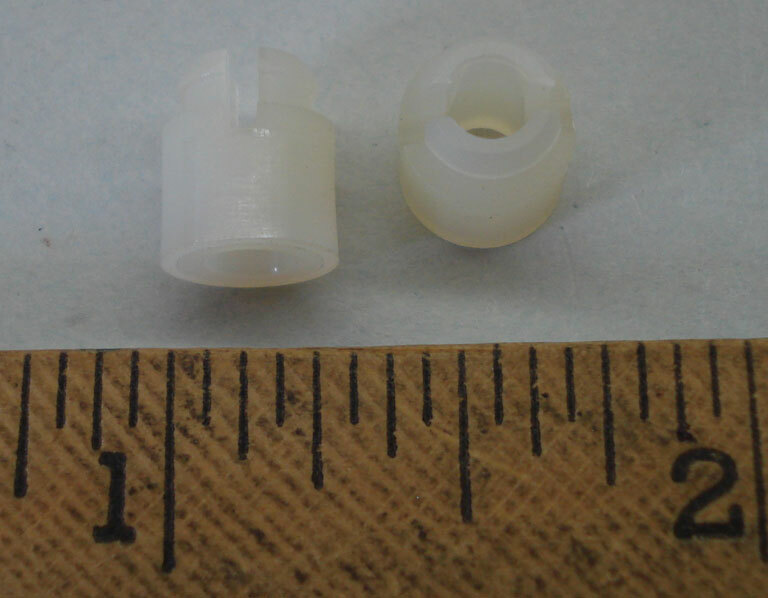 These do not include the Housing! 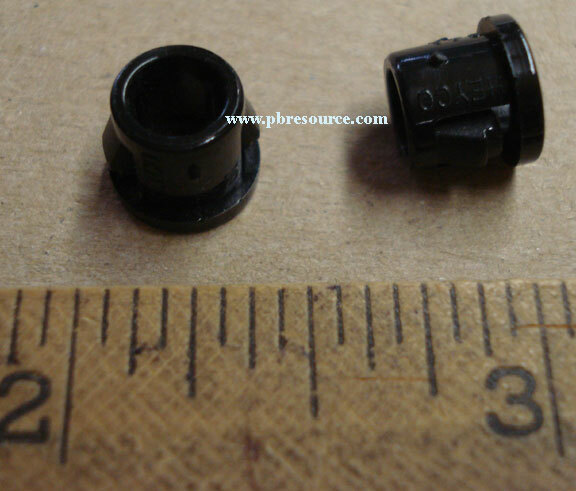 Replaces original part number A-14232 and A-16909. 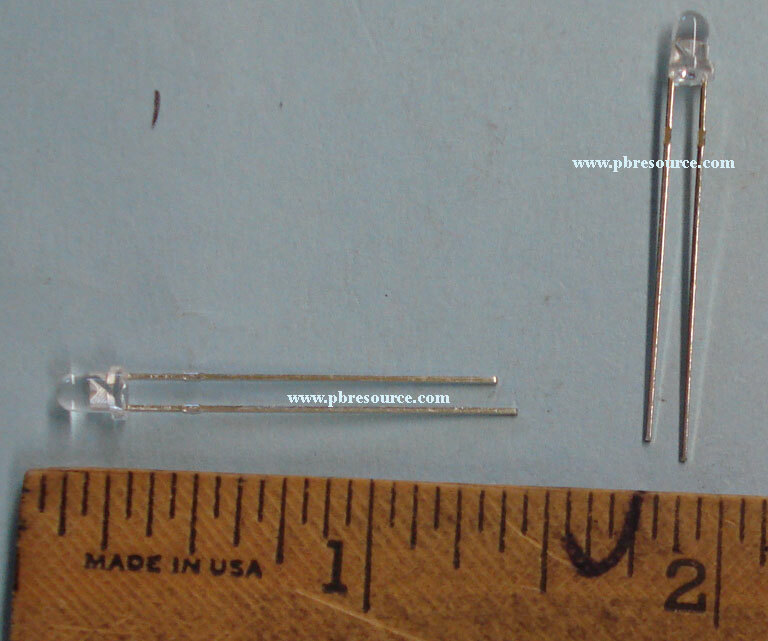 These do not include the Housing!